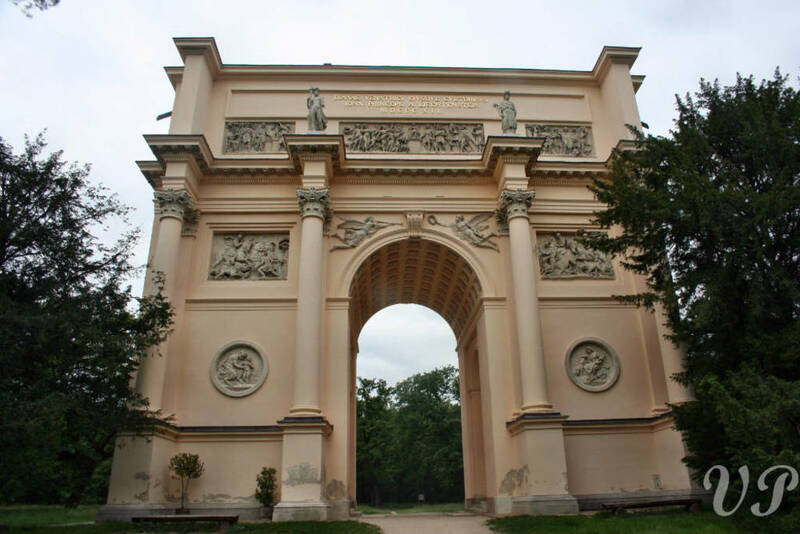 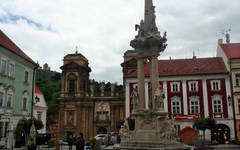 Both Prague and Vienna used to be the seats of powerful kings and ruling seats of famous kingdoms and empires. 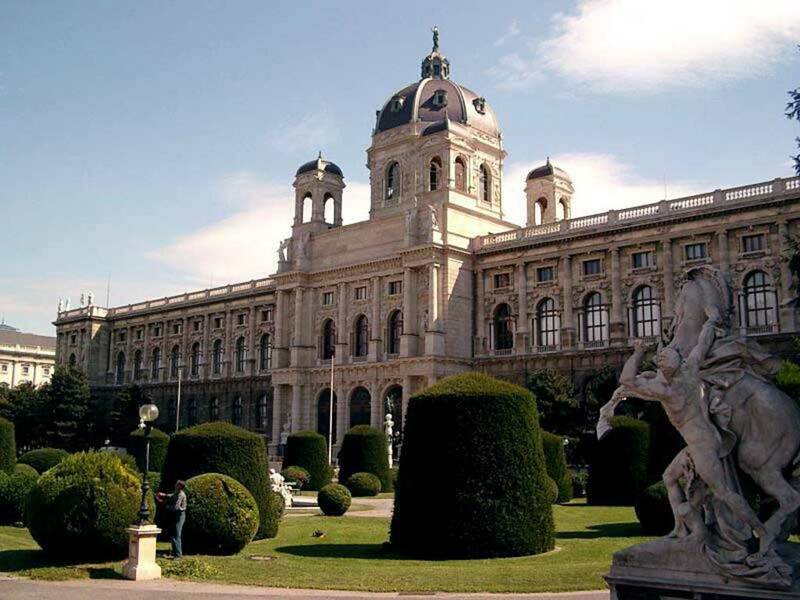 Therefore, these two cities are overflowing with cultural richness resulting from a high concentration of pieces of art of the most prestigious artists and architects of the given time. 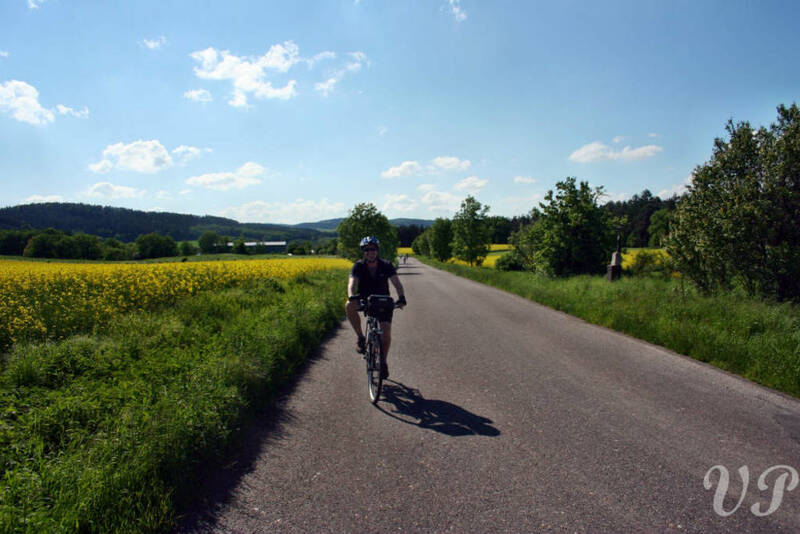 In case you would like to skip train transfers and bike whole way from Vienna to Prague – feel free to contact us for tailor made tour! 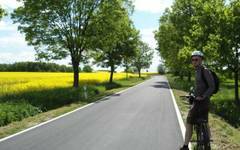 Should you prefer E-bike, do ask us! 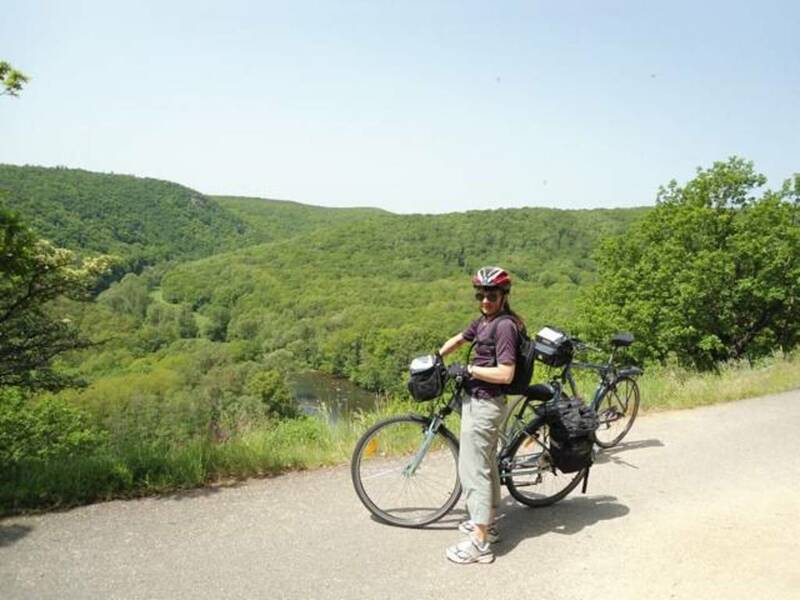 This day(s) is/are yours to explore the "Paris of the Central Europe,", relax, or have a unique Prague-by-bike tour (see more in our Prague-by-bike section). 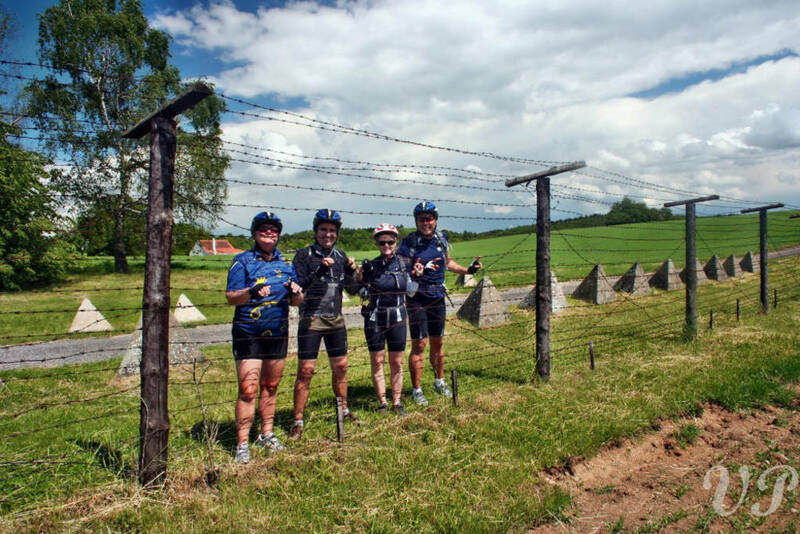 The tour is guided by Prague natives - who truly love the city and can reveal much more than any travel book – all safely by bike and finished by a mug of good beer in an carefully chosen place. 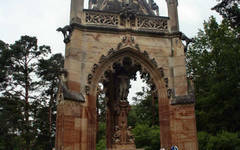 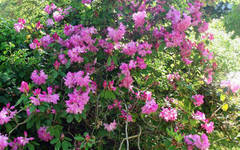 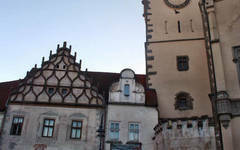 Do not hesitate to ask us for this extra tour – it is our clients favorite! If time is not your worst enemy, we do propose you stay in Prague more days to fully explore its beauty and hidden corners. 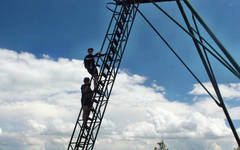 Feel free to ask us about more nights or other attractions! 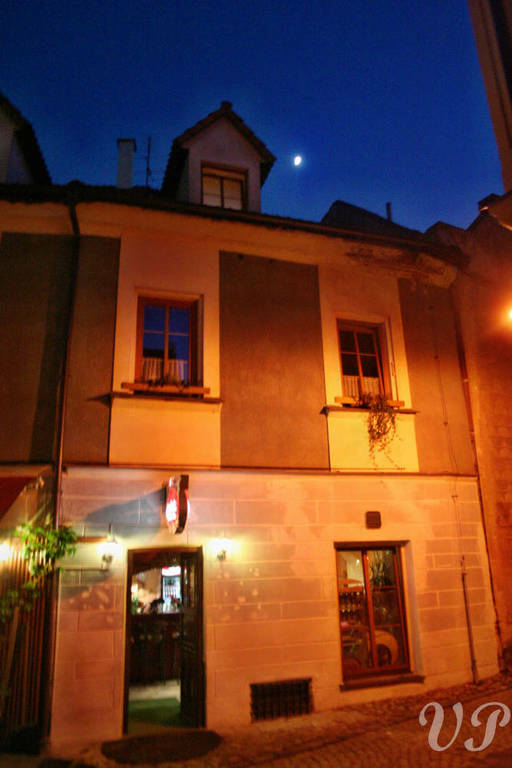 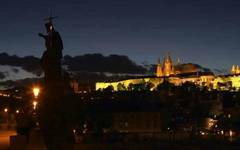 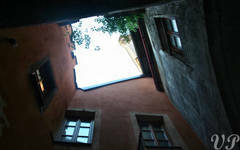 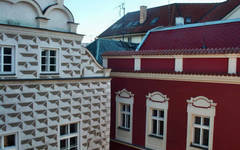 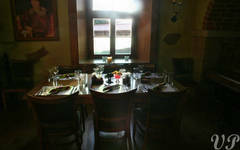 Hotels: Night in Prague is not included as most of our guests prefer to stay more nights. 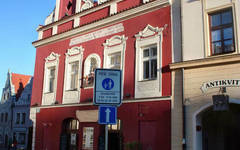 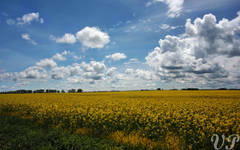 Therefore we offer large variety of hotels which we are happy to recomend ( ** / *****). 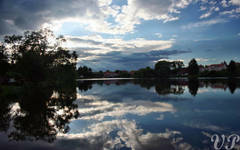 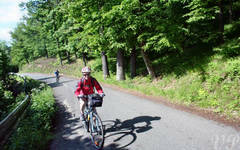 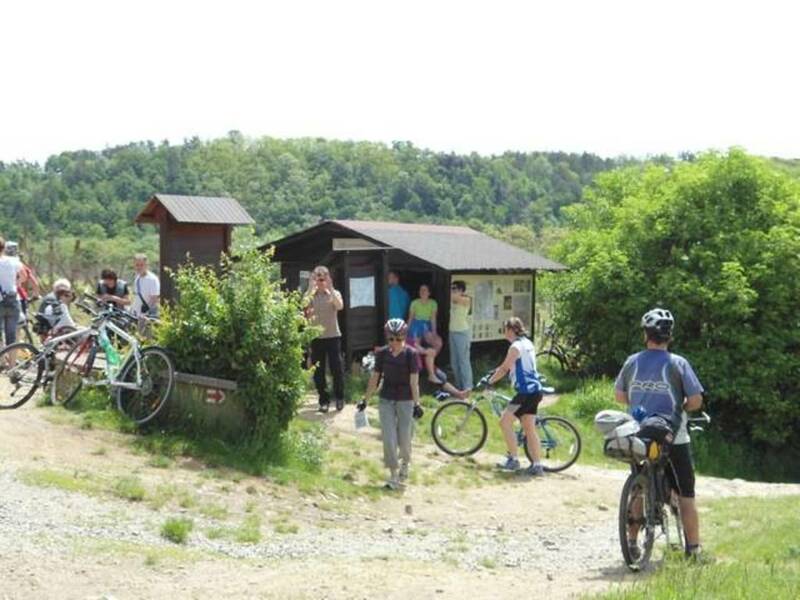 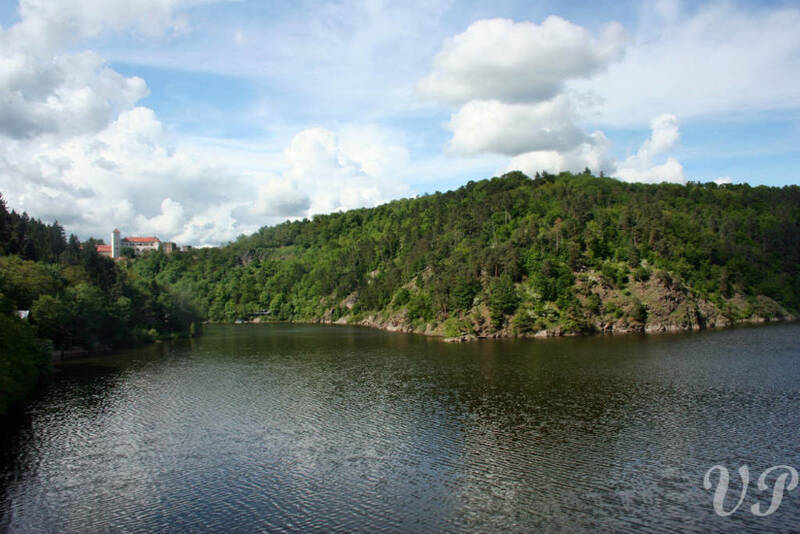 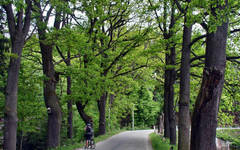 Description of the day: Our first biking day starts easily and relaxed Vltava river upstream on nice bike trails. 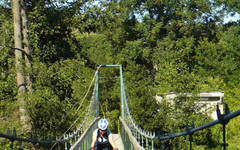 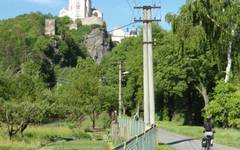 After 20 km on flat ground we have to leave the river and open romantic Posázaví highlands. 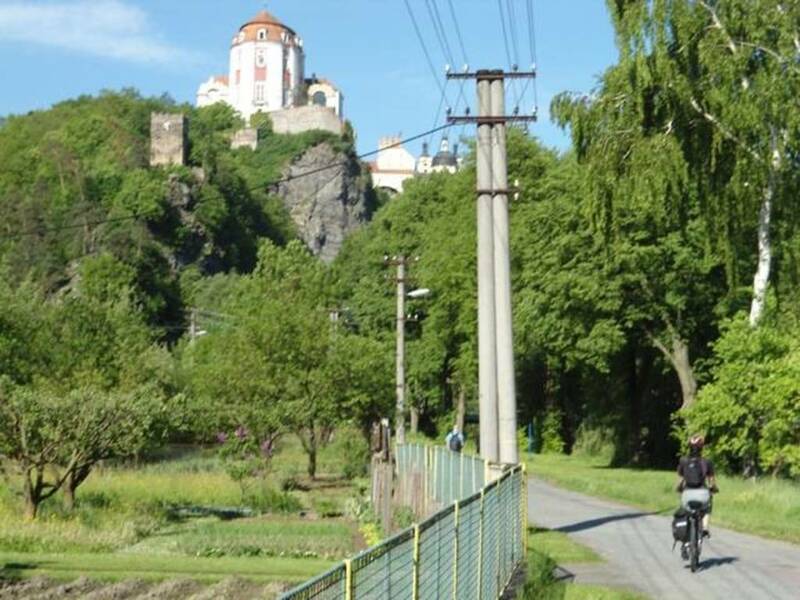 For every climb you will be rewarded with nice views to surrounding country side, all crowned by the former gold mining capital Jílové. 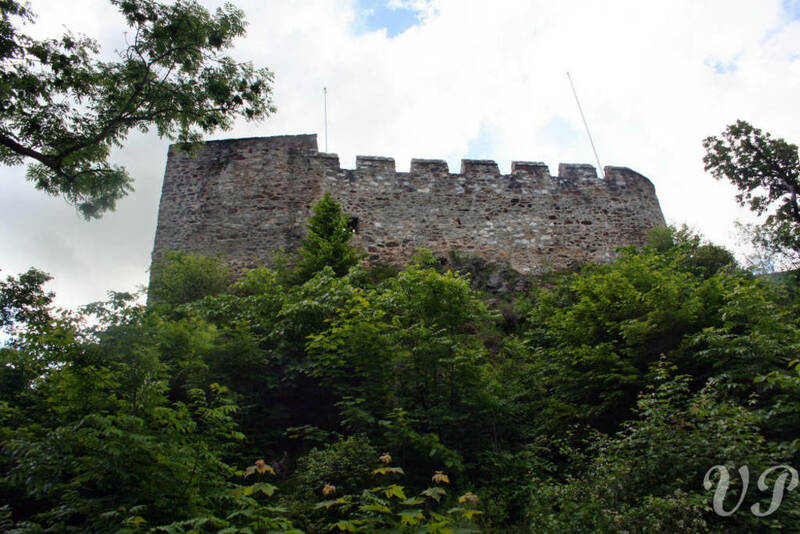 At Zbořený Kostelec you can take short hike to local castle ruin. 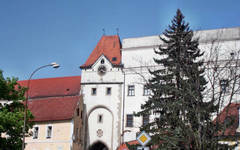 From here we will continue to nearby Týnec nad Sázavou with it’s romantic gothic stronghold and Romanesque rotund. 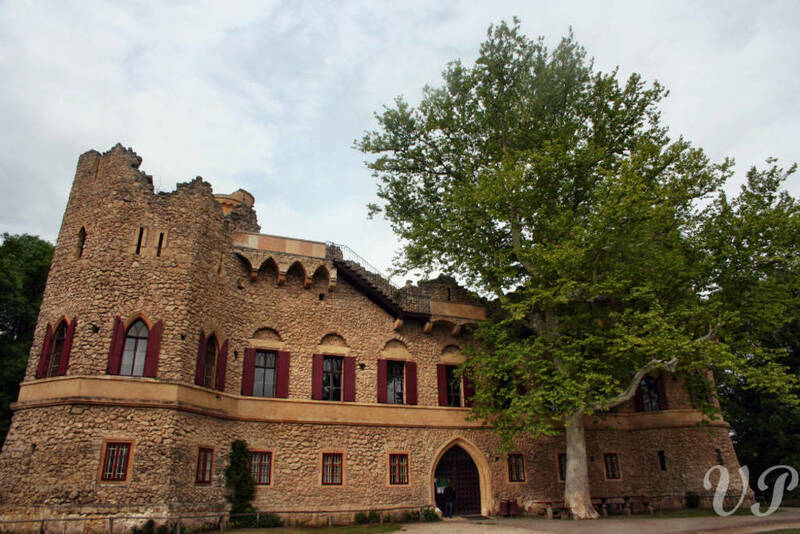 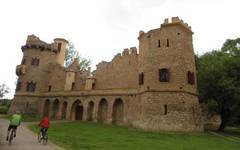 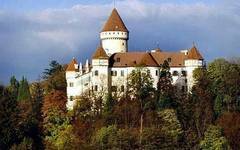 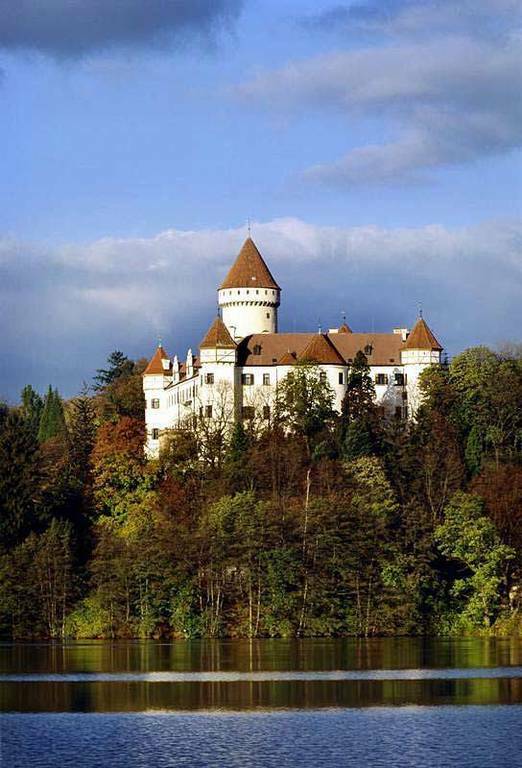 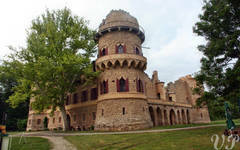 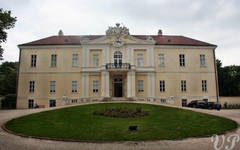 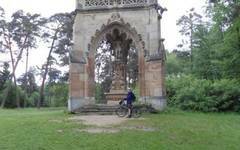 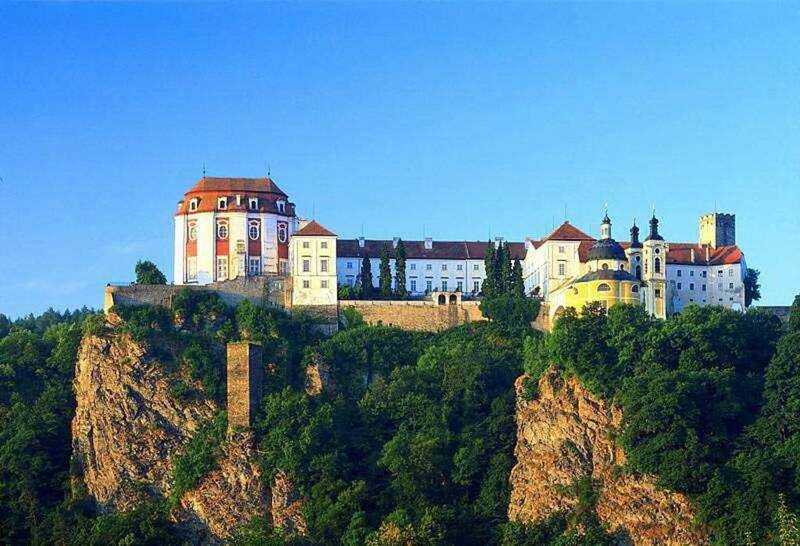 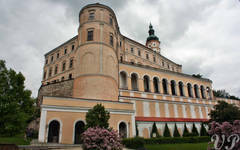 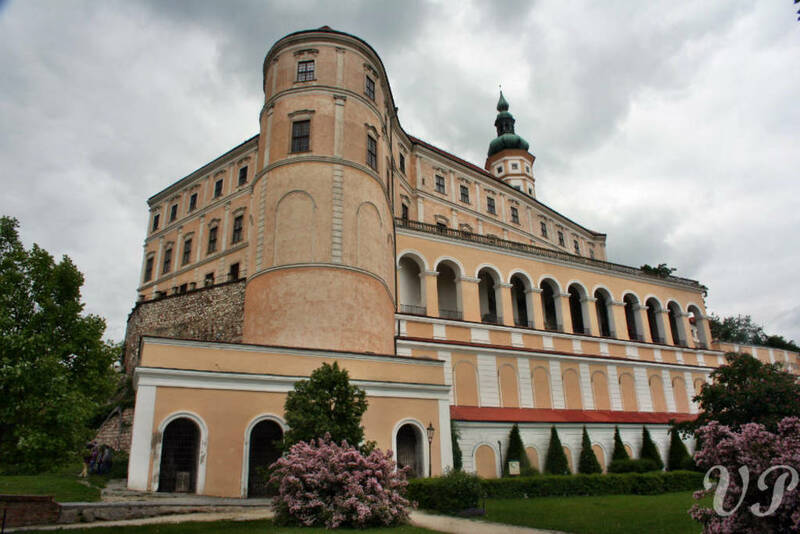 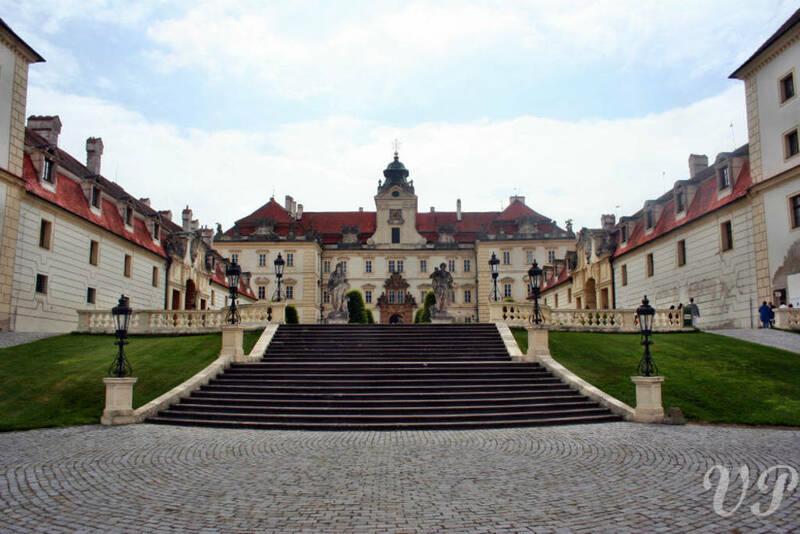 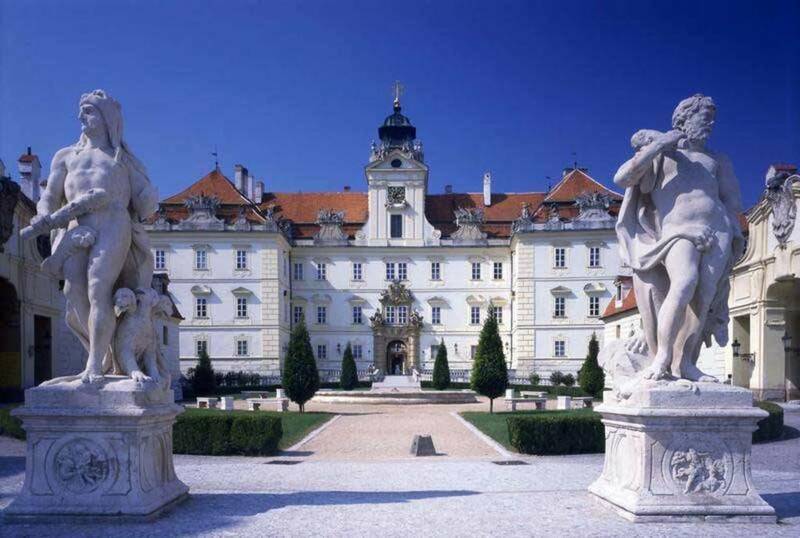 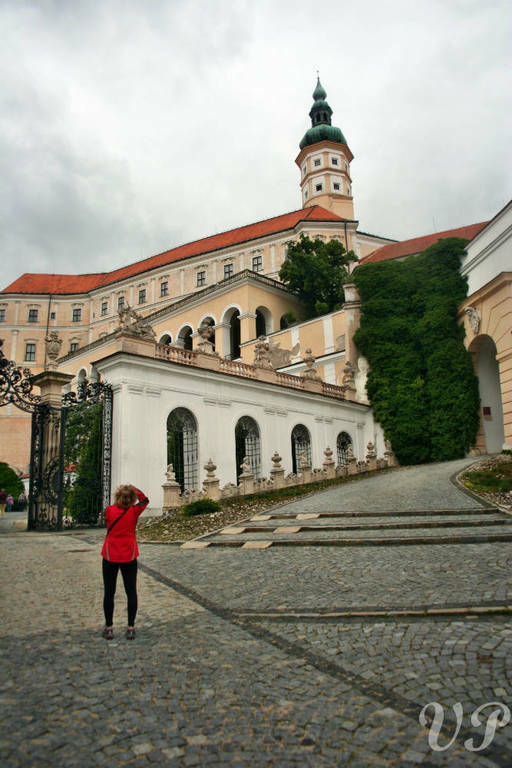 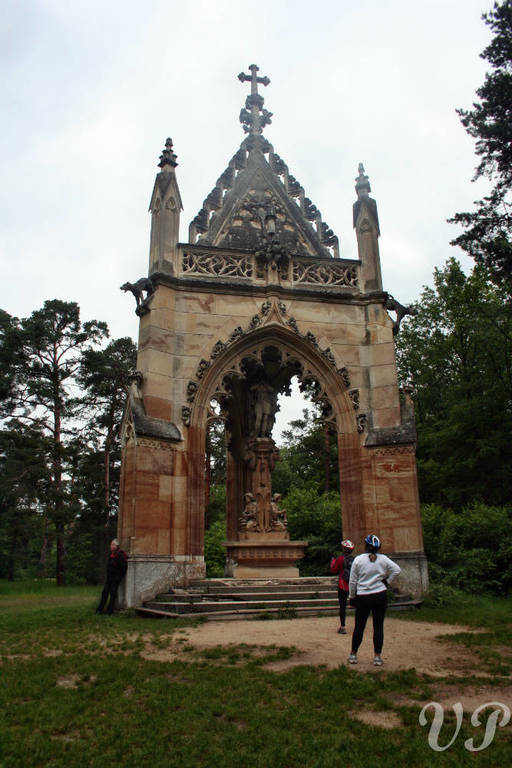 We will end today’s bike stage by visiting the Konopiste Castle, the summer palace of Archduke Franz Ferdinand D´Este. 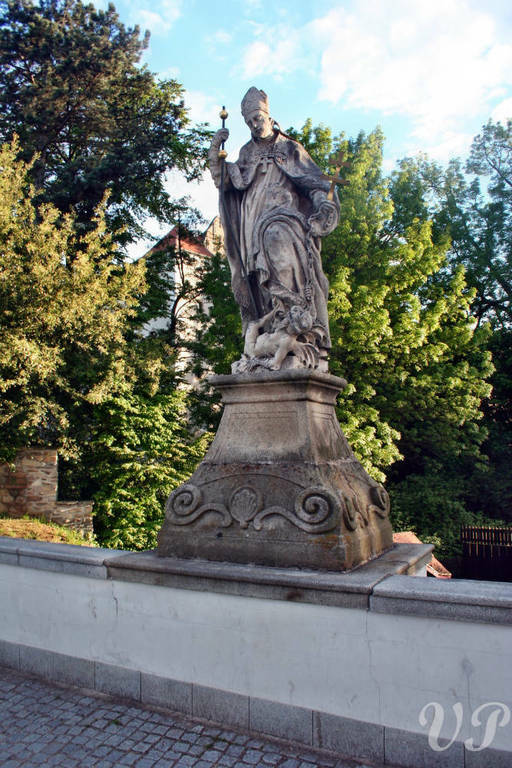 The assassination of this would-be-king in Sarajevo in 1914 caused World War I. 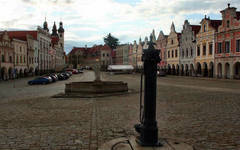 From Konopiště/Benešov you will take a train/car to former Hussite stronghold Tábor. 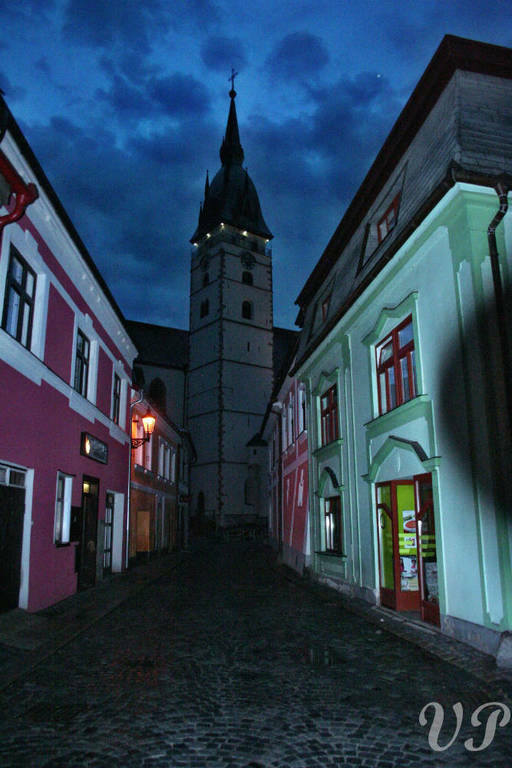 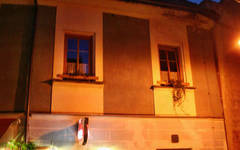 Night walk through this wonderful medieval town would be one of the highlights of a whole tour! 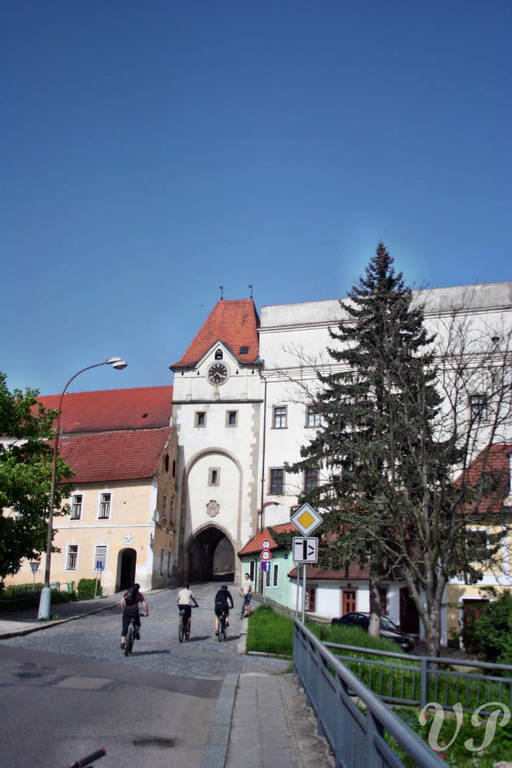 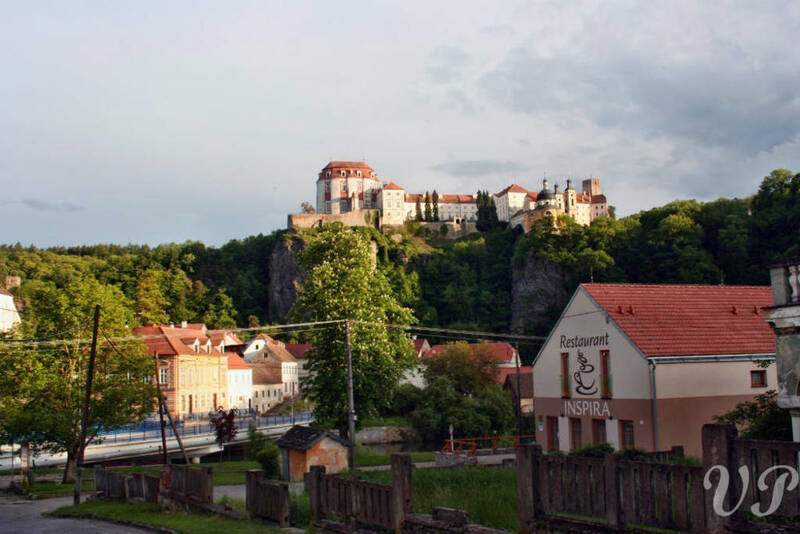 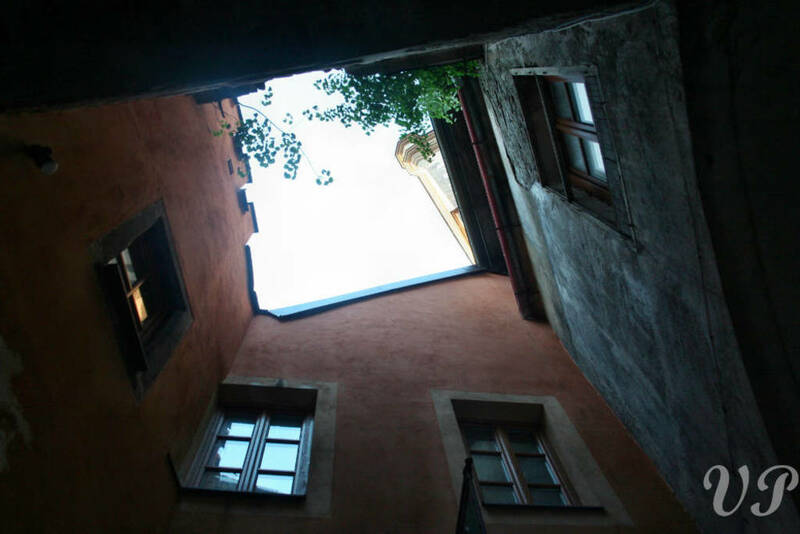 Description of the day: In the morning of the second day we recommend a short morning walk on the ramparts of Tábor, where you can admire its genius loci. 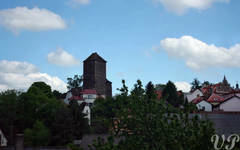 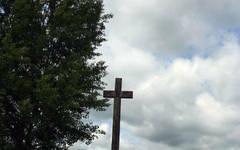 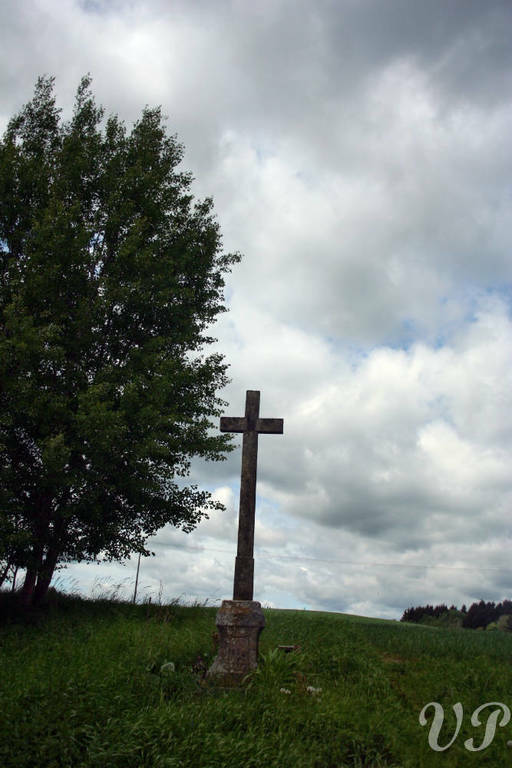 The carefull usasage of the assets of the landscape and countryside during its construction, resulted in several unsuccessful besieges of the town during the times of religious wars. 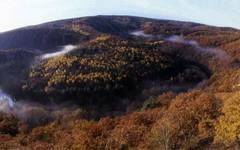 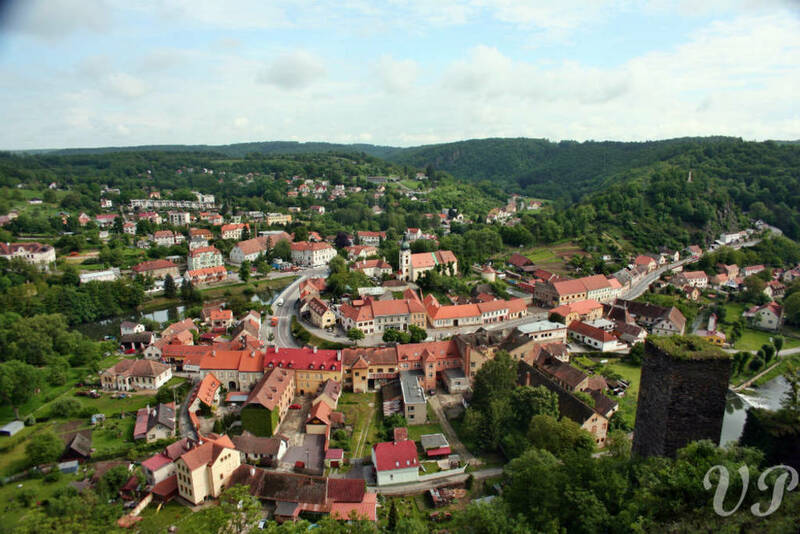 Then we will enter the South Bohemian region. 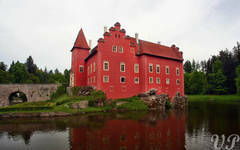 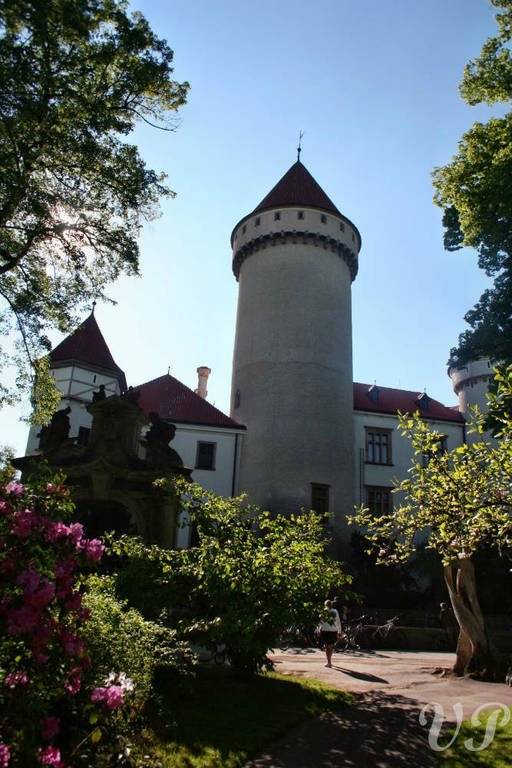 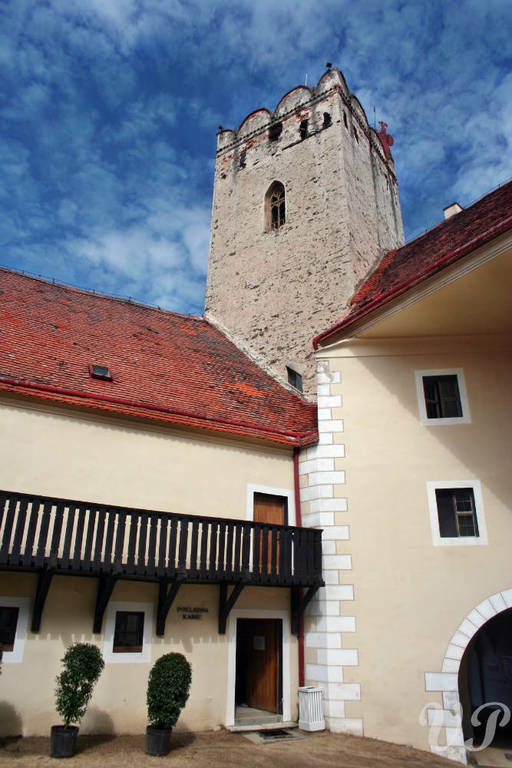 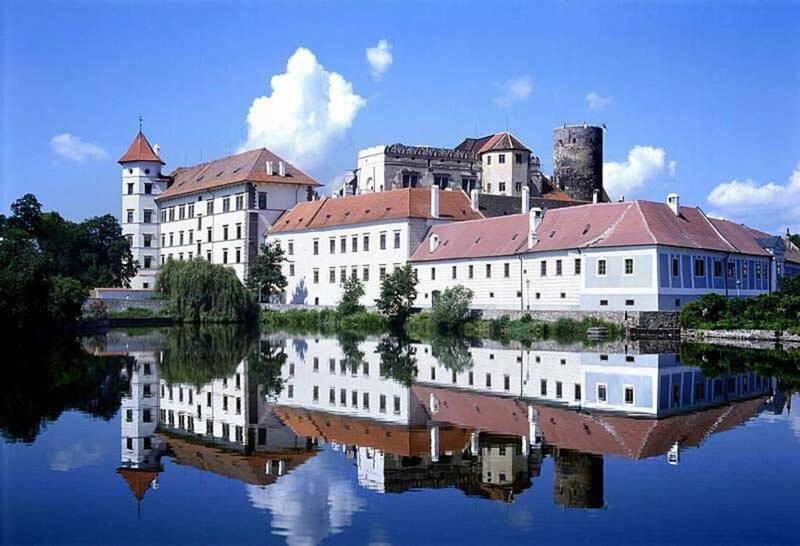 Beside many little castles and chateaux the most well known places are, without any doubt, the romantic water castle of Cervena Lhota, as well as the third largest historical complex in the Czech Republic – the town of Jindrichuv Hradec with its well preserved castle and city center. 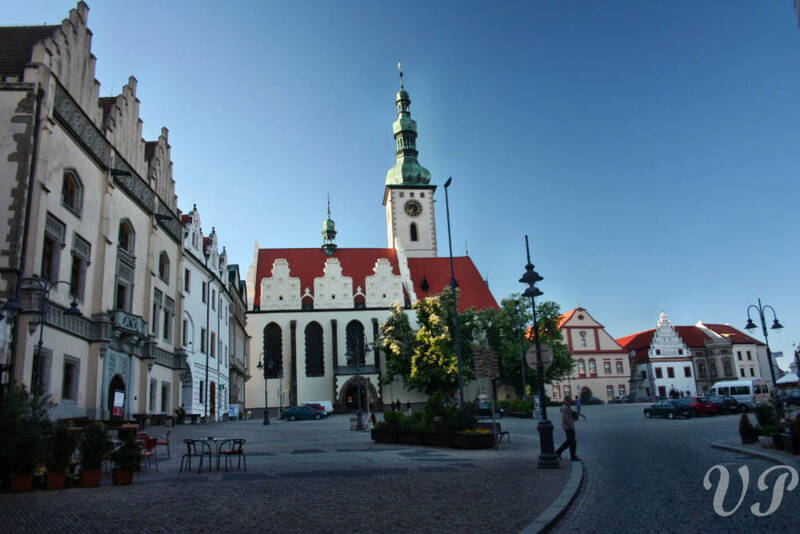 Today, it is hard to believe that this calm town used to be one of the largest medieval towns in Bohemia! 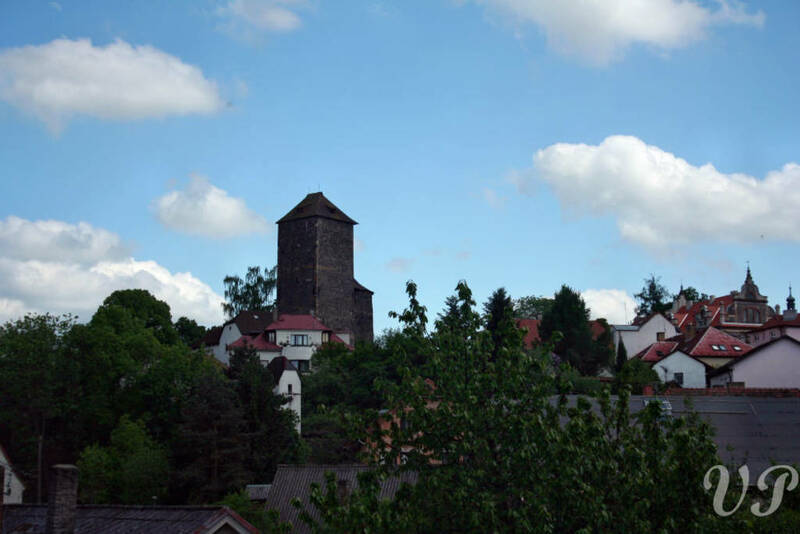 Based on a legend, it is possible to meet Perchta from Rozberk – the famous “white woman” ghost! 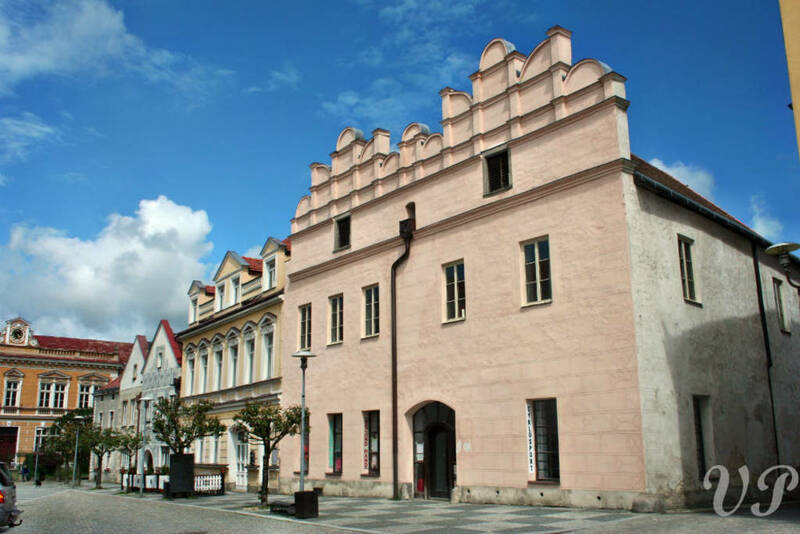 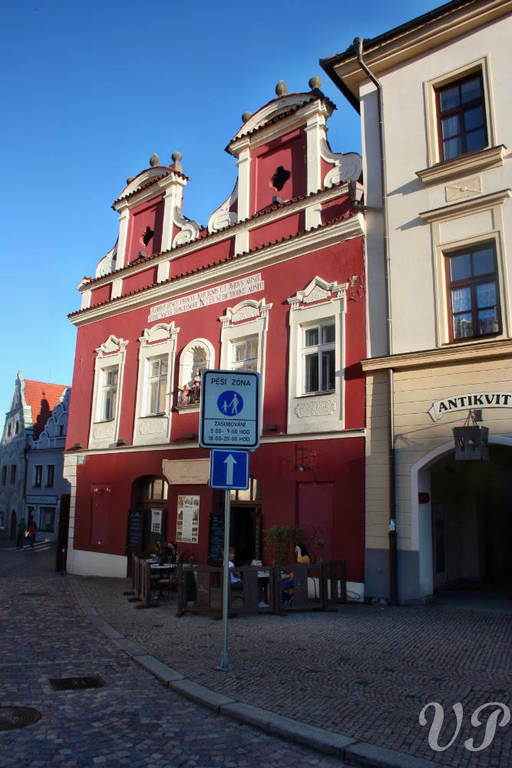 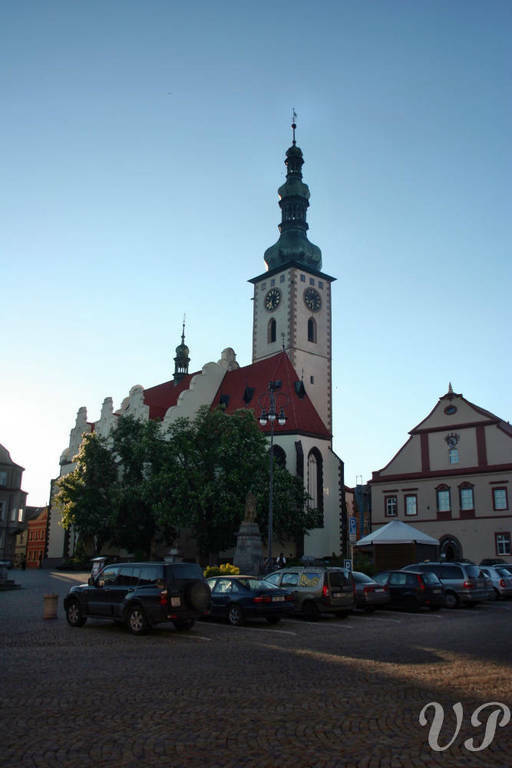 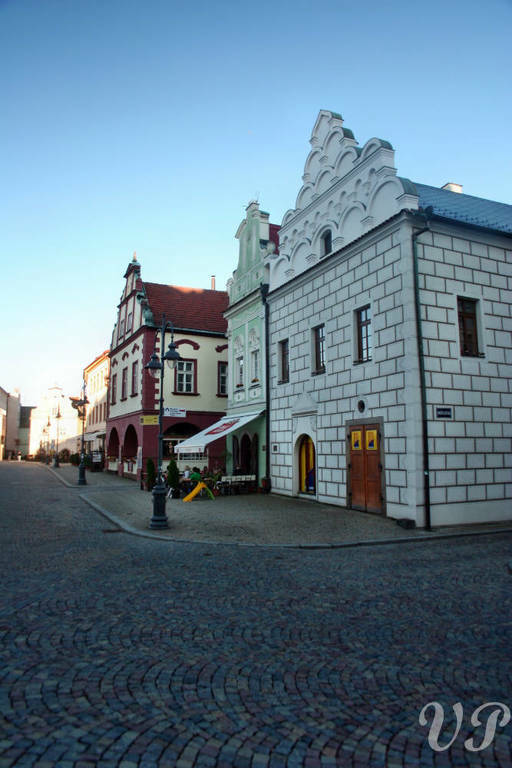 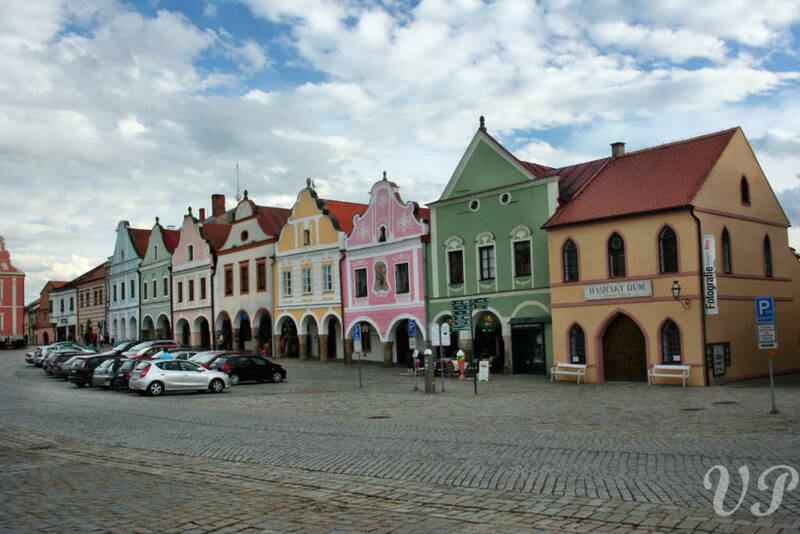 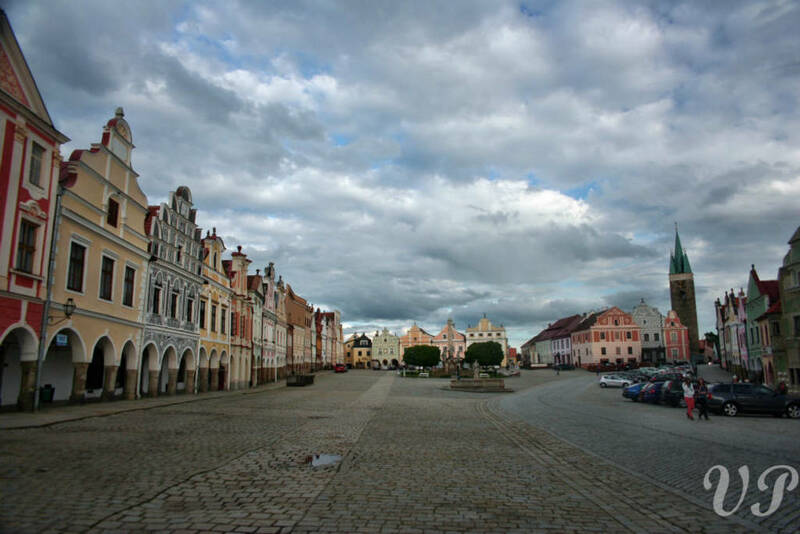 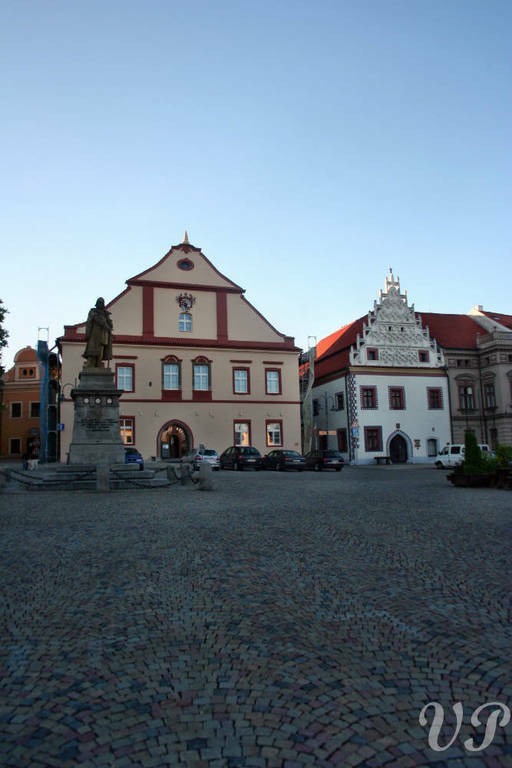 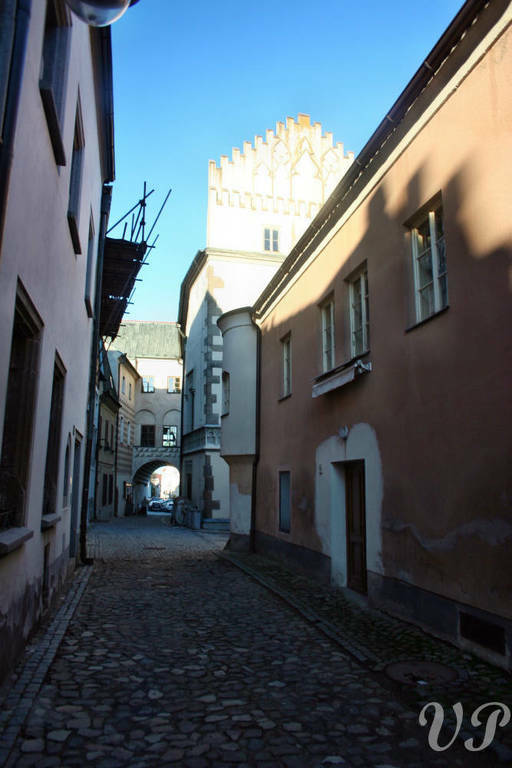 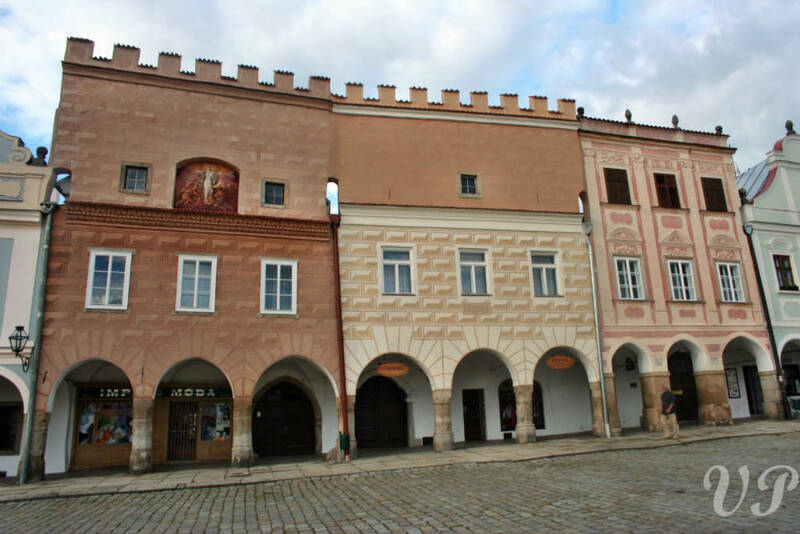 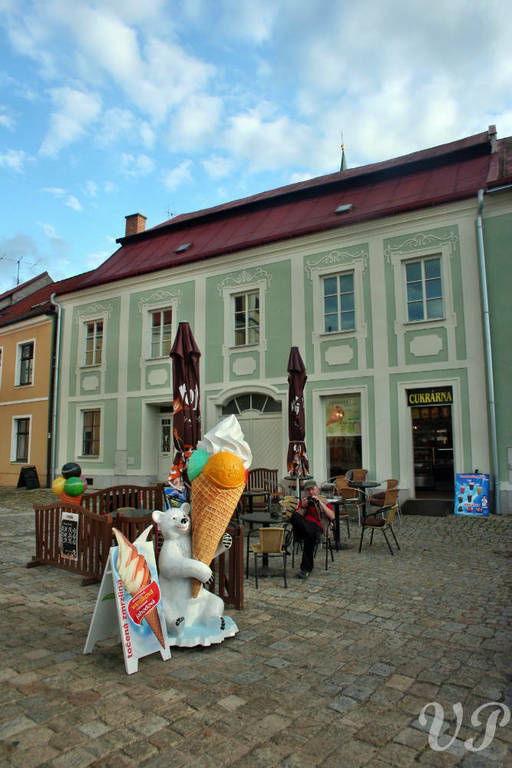 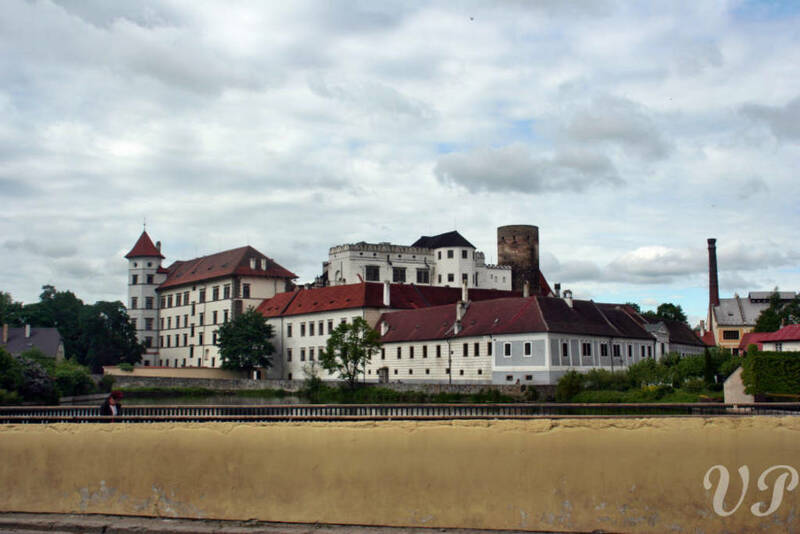 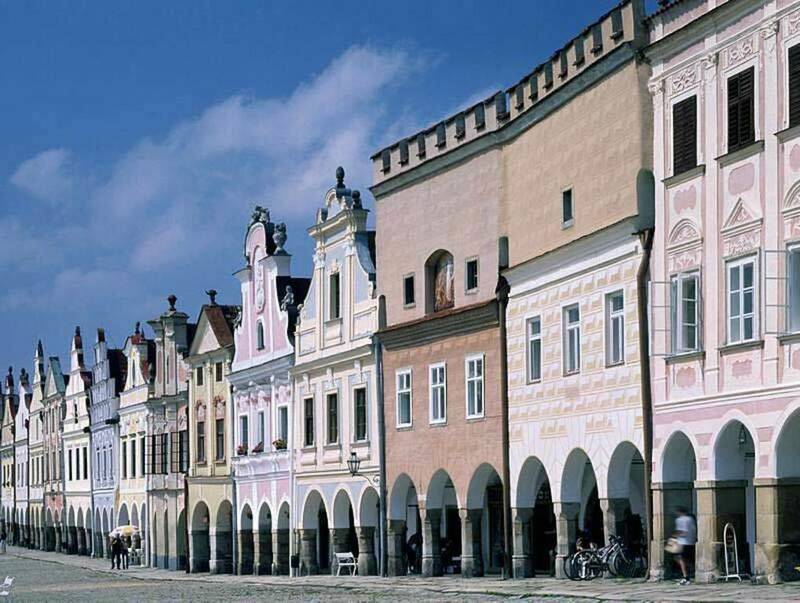 Description of the day: Today’s highlight will be a visit of the Renaissance town of Telc, which is inscribed on the UNESCO World Heritage List. 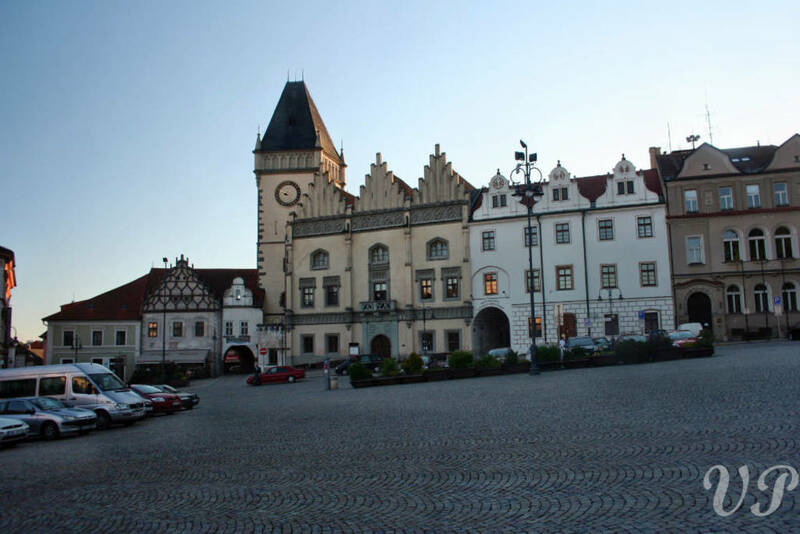 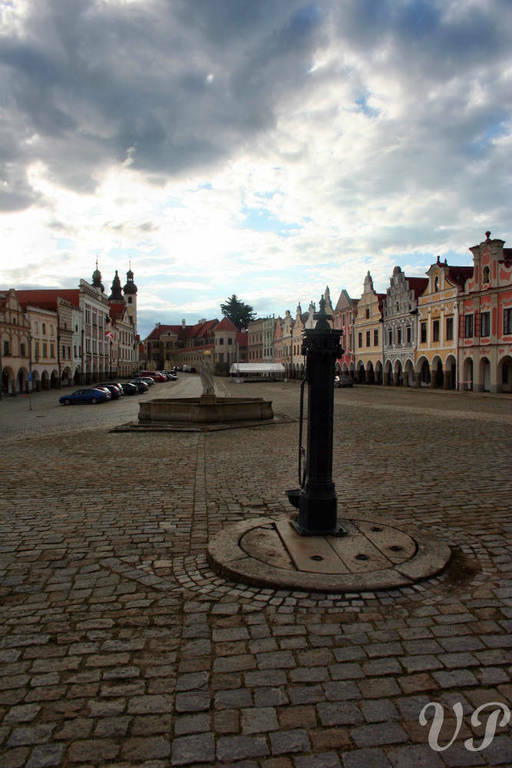 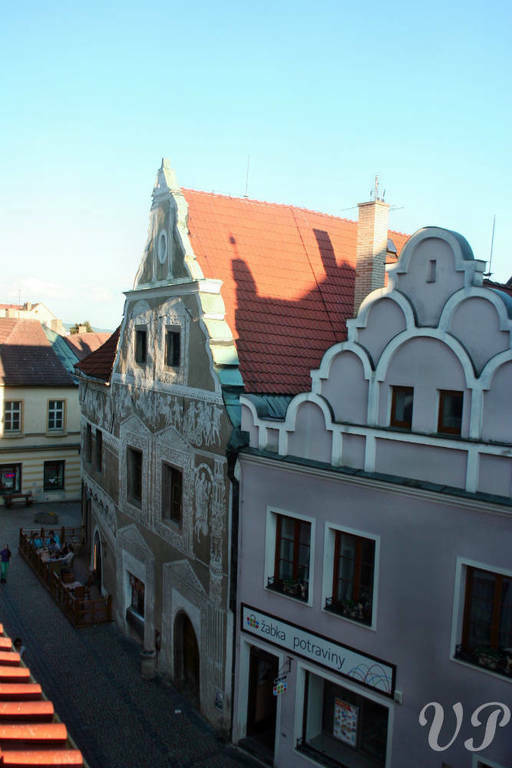 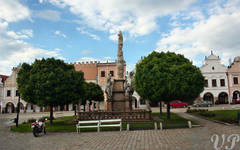 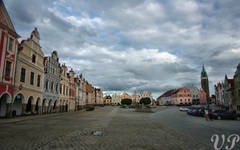 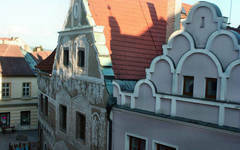 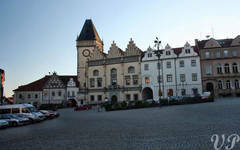 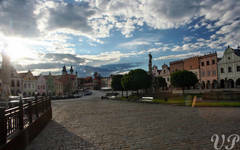 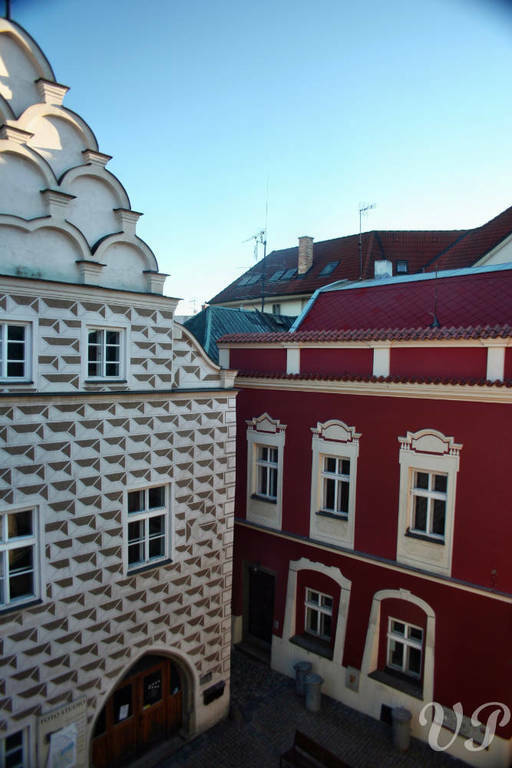 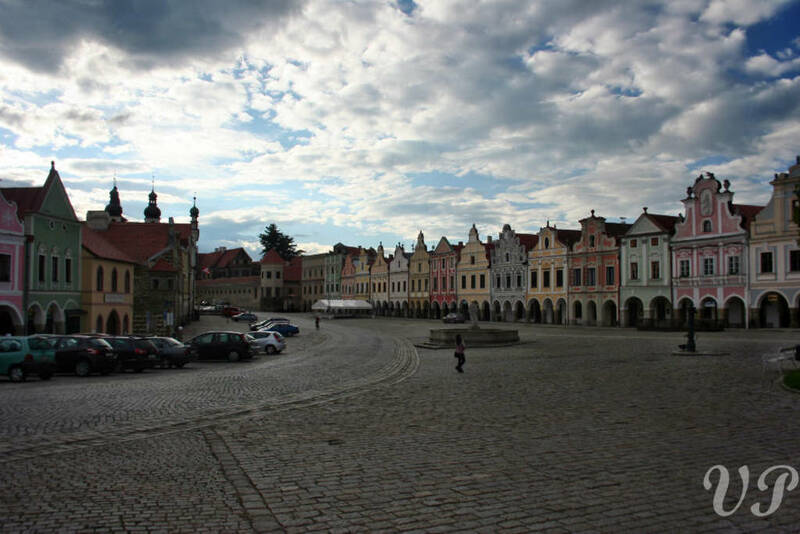 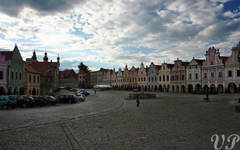 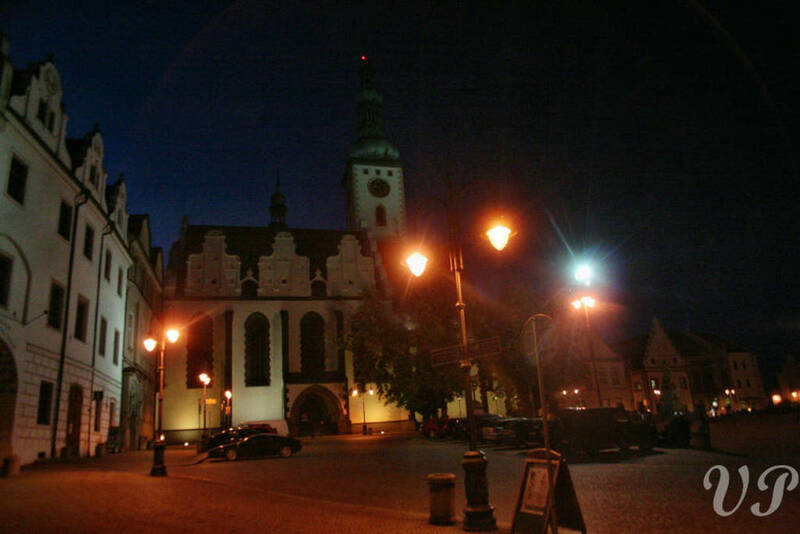 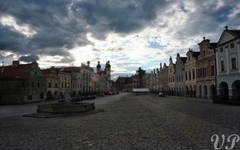 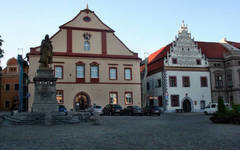 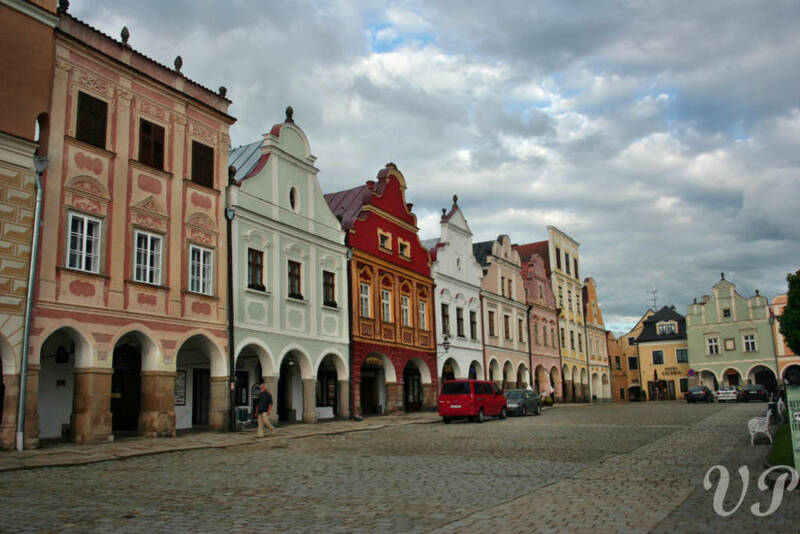 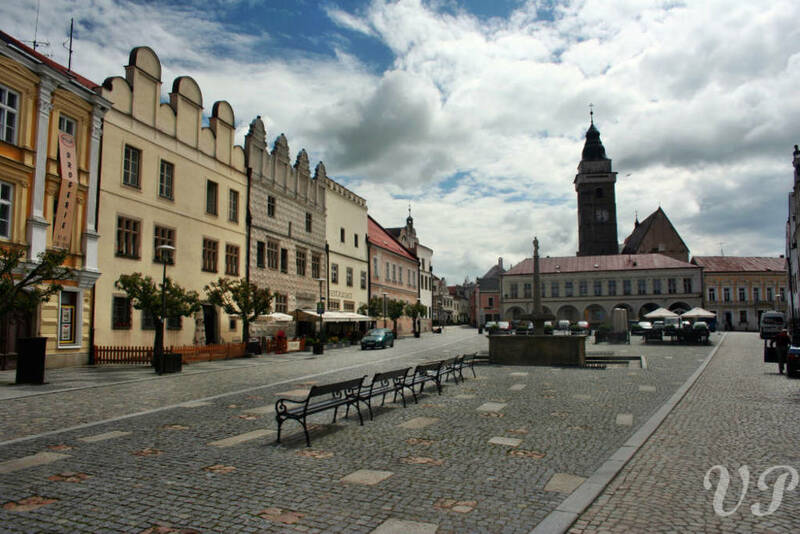 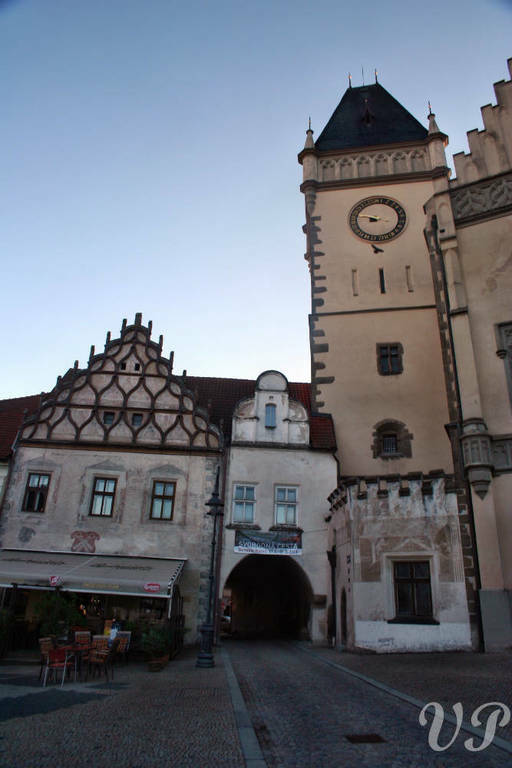 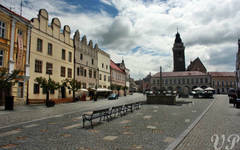 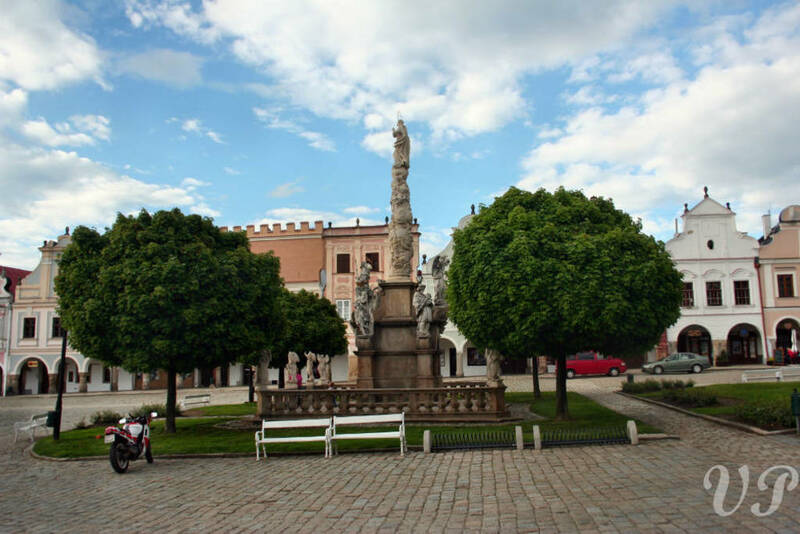 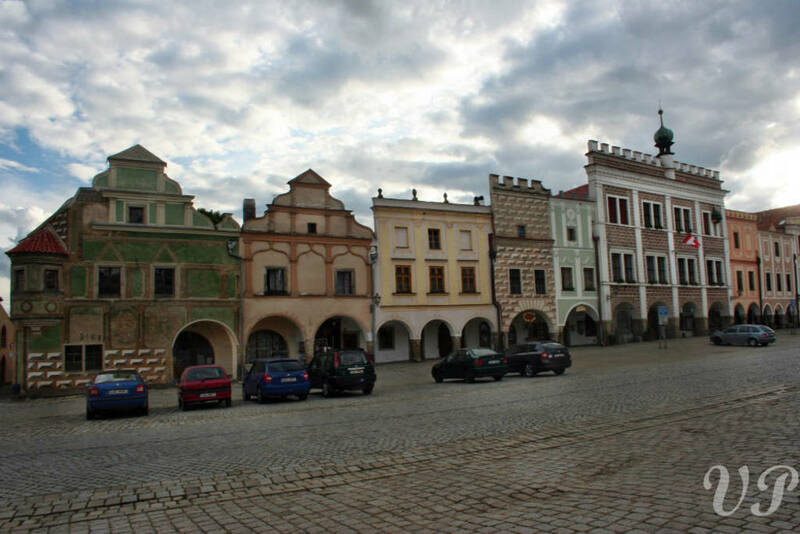 Telc is considered to be the most beautiful Renaissance town in Europe! 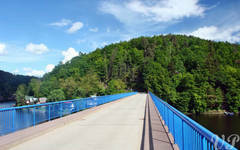 Before we get there, we must travel rather hilly 45 km. 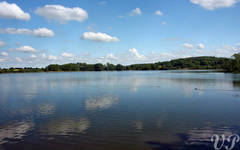 Only few people are able to count exactly how many ponds and lakes we will pass on the way. 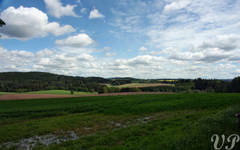 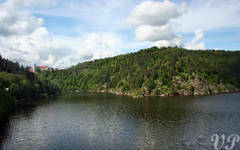 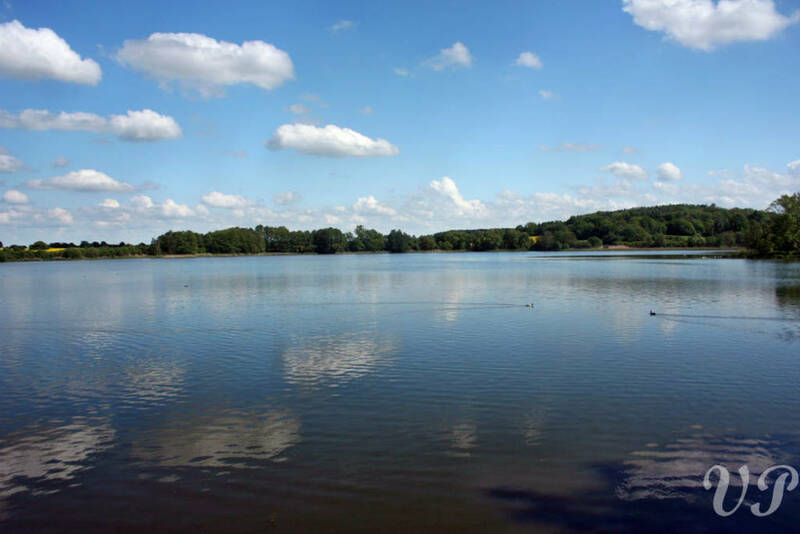 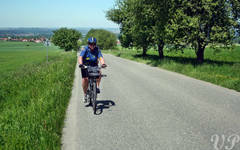 The route weaves through a slightly hilly countryside, which passes rather fast when we ride along the water surfaces. 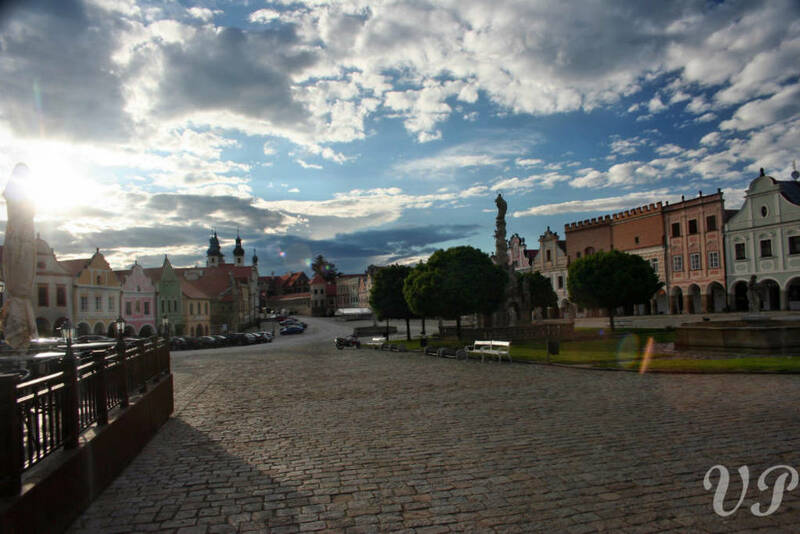 In Strmilov, we will have a chance to visit an artistic weaving factory and to learn more about the process of fabric making, which has been part of this region ever since. 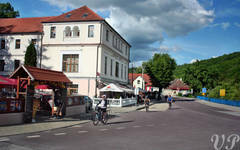 Description of the day: We start the day in direction of Dačice where the firrst sugar cube ever was produced. 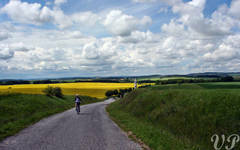 Getting there we bike through an area with fantastic views and very few other bikers on the route. 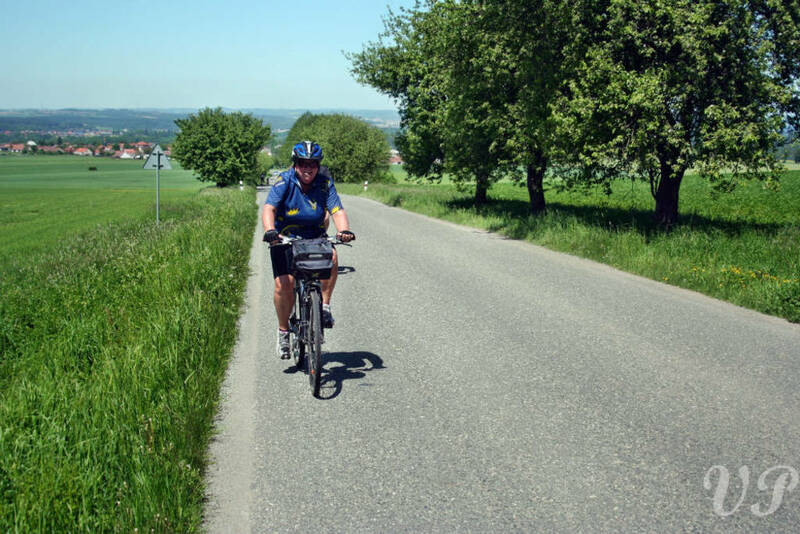 It takes us through nice highland area and peaceful villages near to the Austrian border which we then follow for the rest of the day. 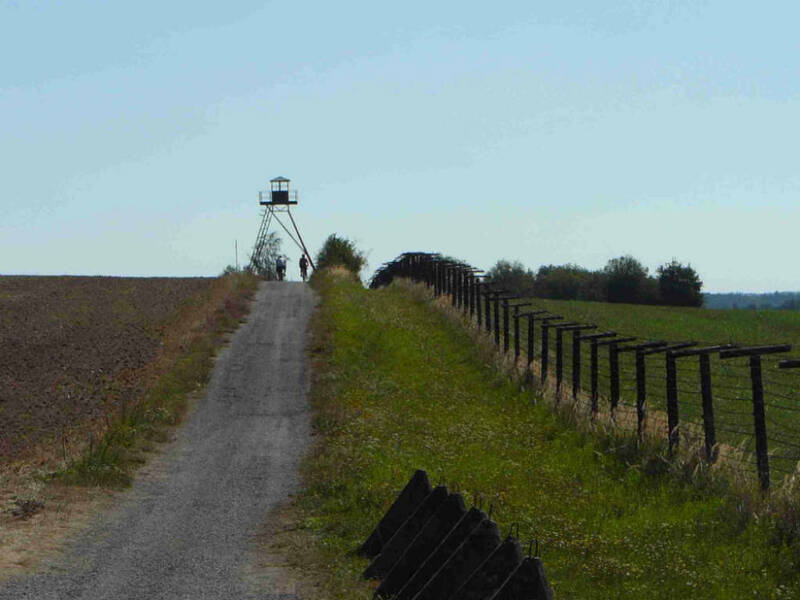 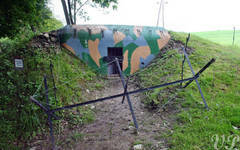 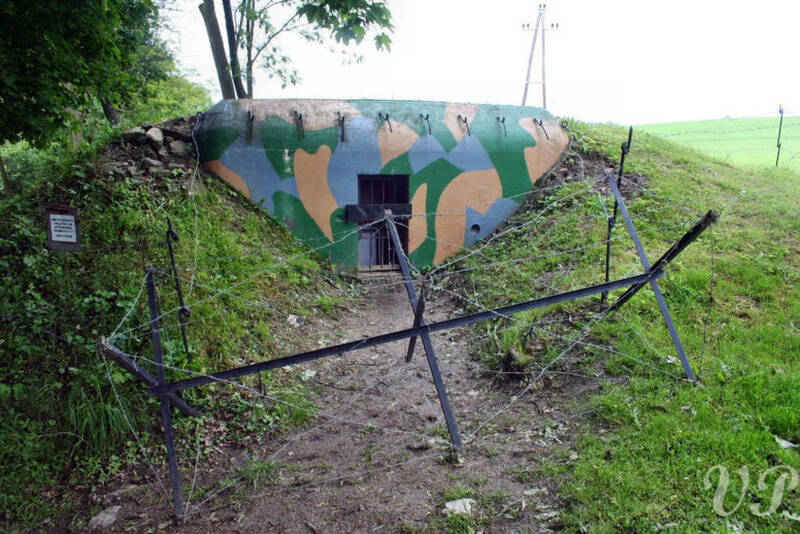 On the road we can see a well-preserved system of fortifications from the beginning of World War II. 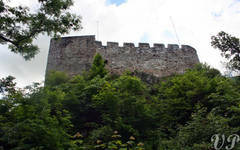 These fortifications has never been used, and therefore, are well-preserved for today’s tourists. 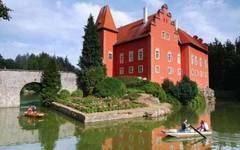 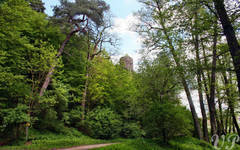 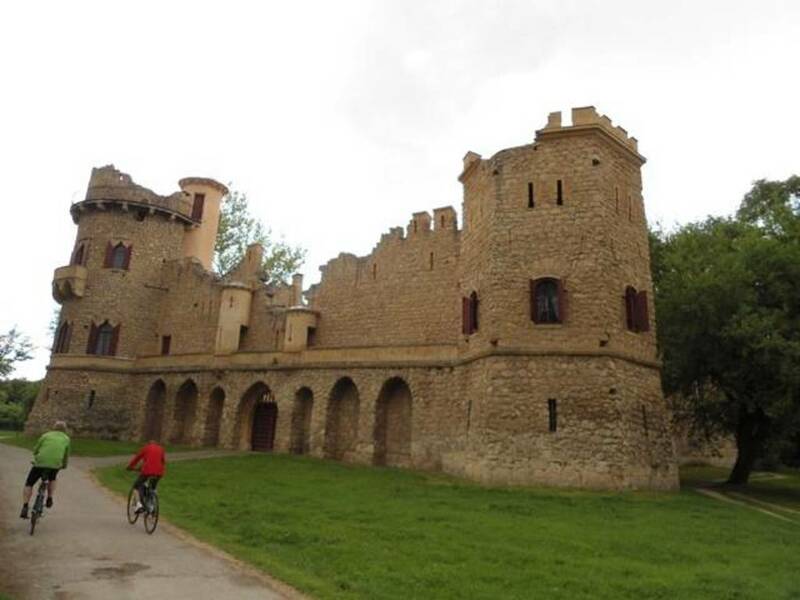 Riding along, the route will pass by the Renaissance castle of Pisecna and to the fairytale-like castle of Frejstejn. 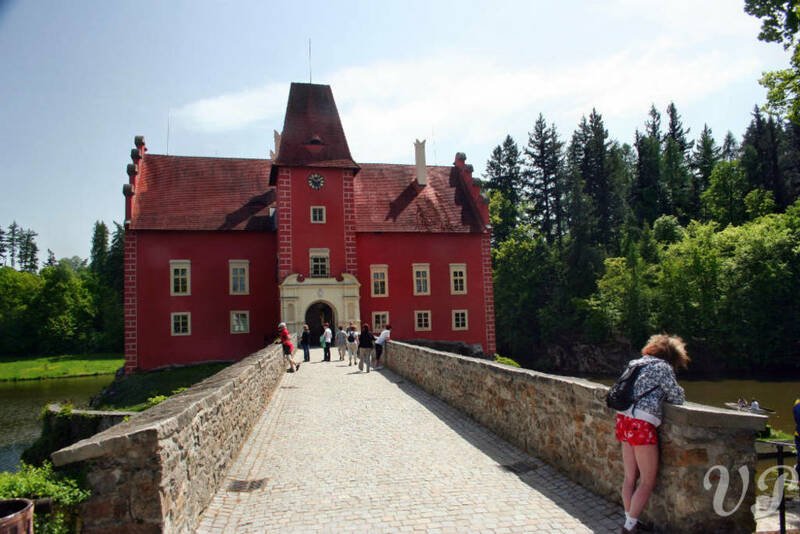 Before we reach our destination we will take a detour to the Vranov water dam to reward ourselves with amazing views of Bítov castle. 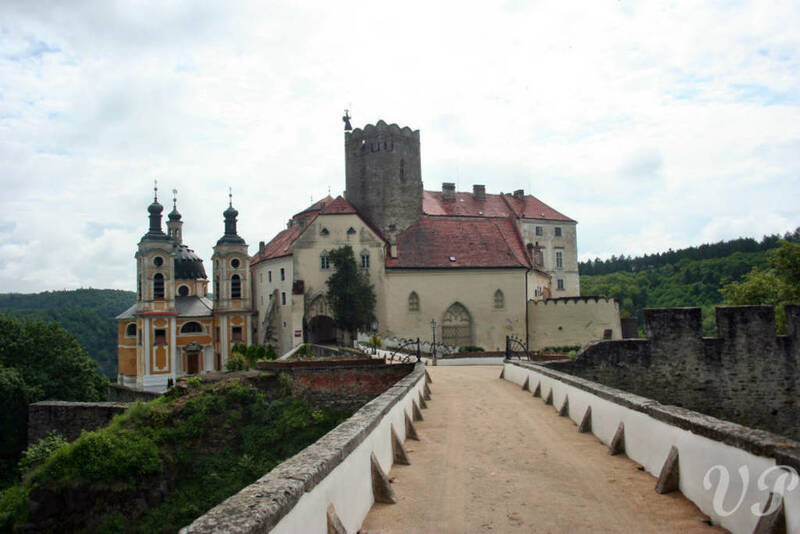 Should you wish, please enjoy the views from one of the biggest castle ruins in Moravia – Cornštejn. 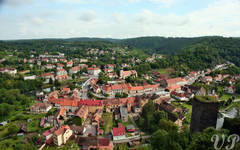 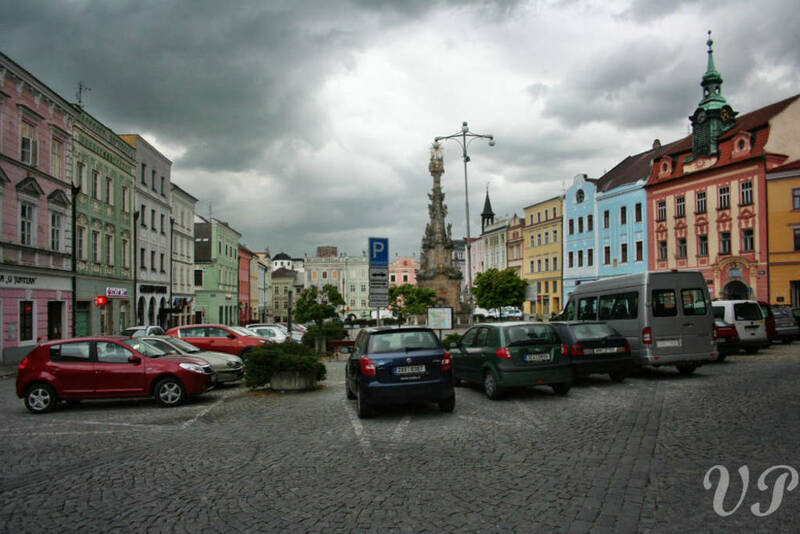 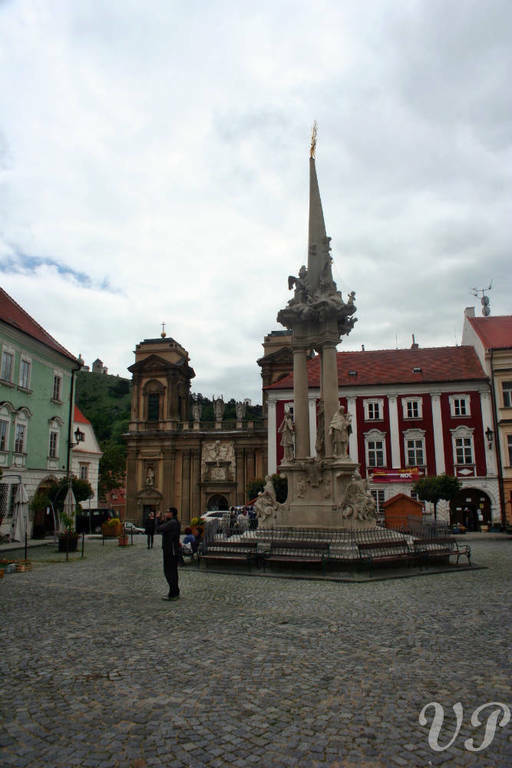 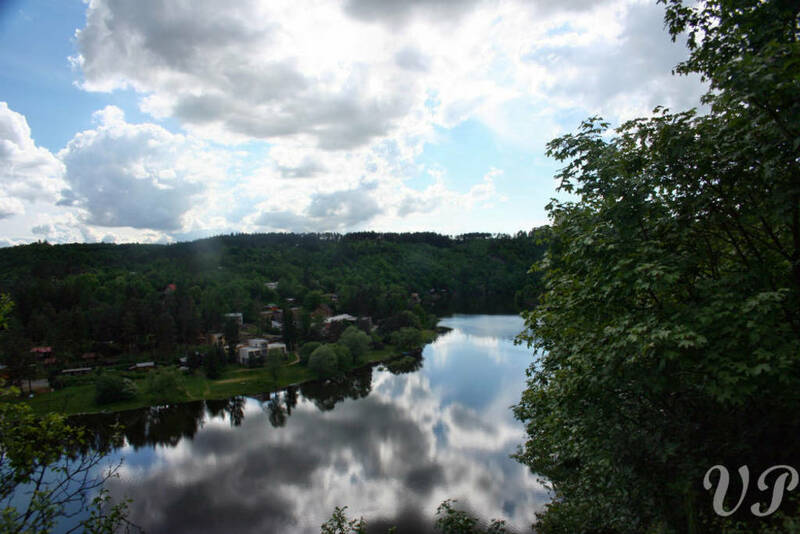 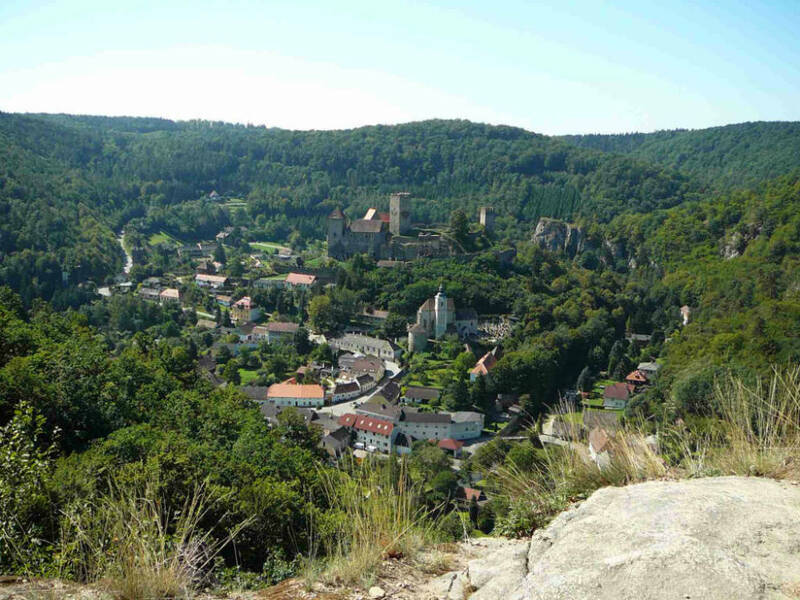 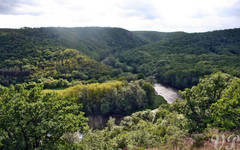 The final destination of today’s stage is the town of Vranov nad Dyji, nestled on the edge of the Podyji National Park. 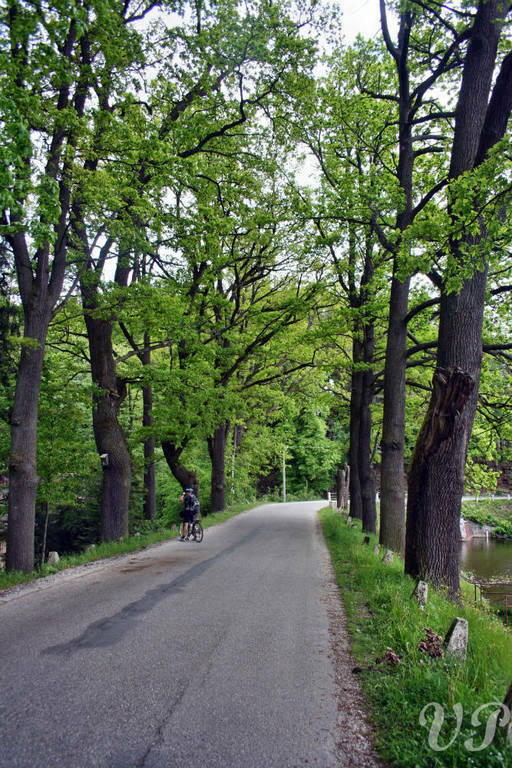 Easy option: You can take a morning train transfer to Slavonice to bike just along the Austrian border. 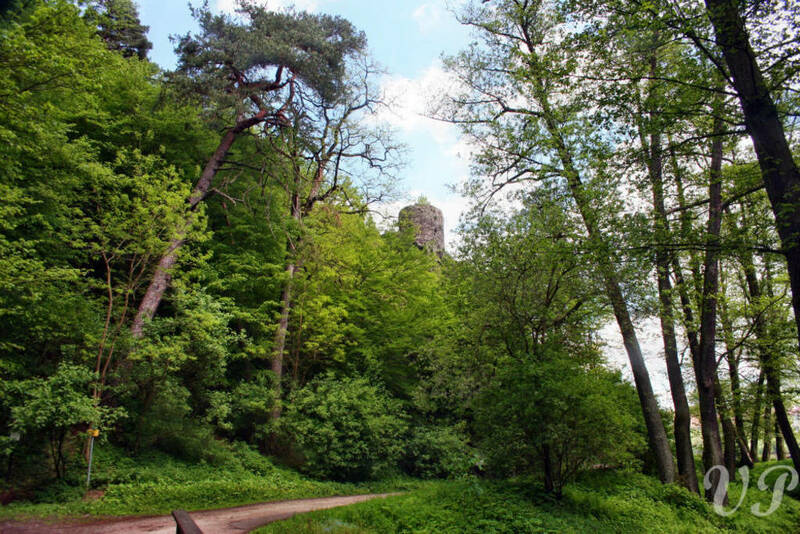 Description of the day: This day will be led by the spirit of natural beauties of the Podyji National Park, which captures everyone’s attention by its beauty and intactness. 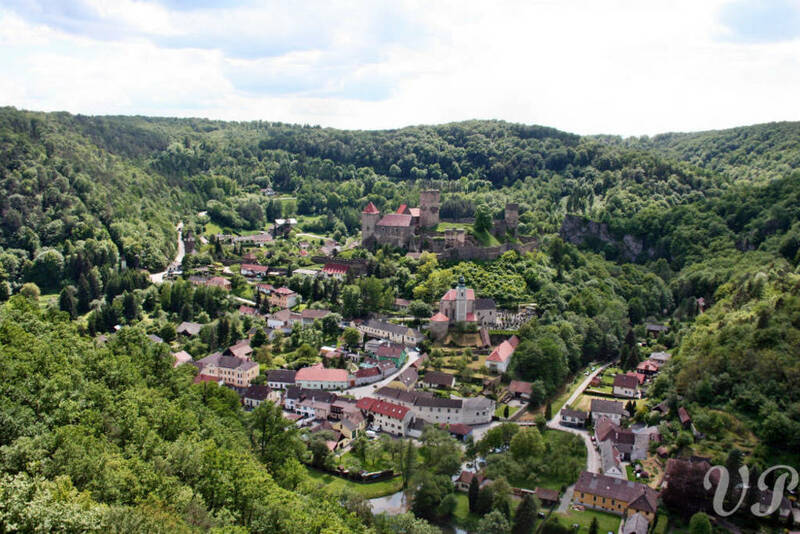 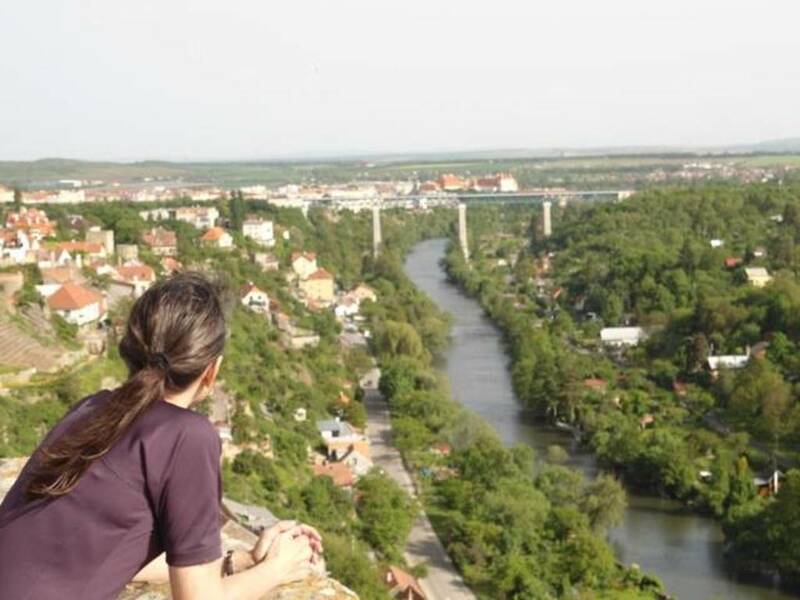 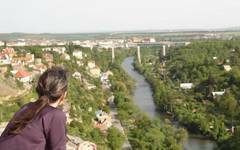 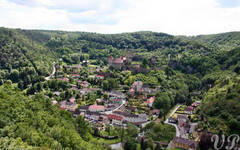 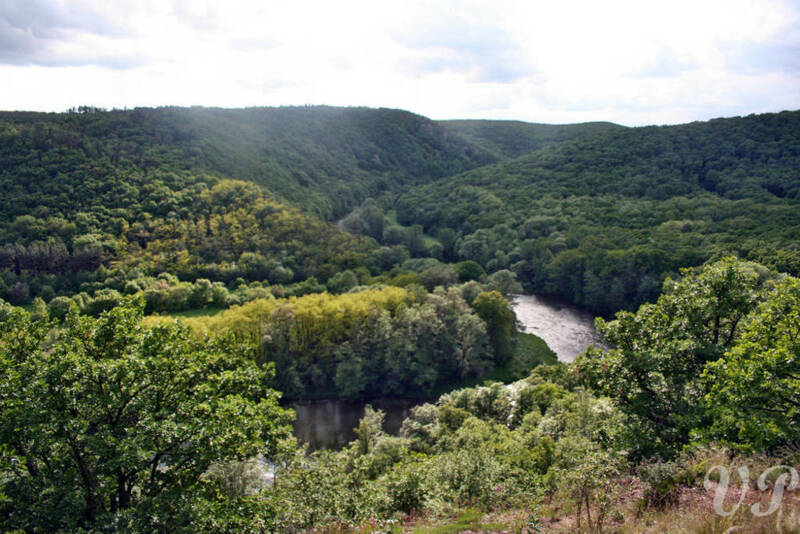 From the ruins of Novy Hradek, as well as from the viewpoint over the majestic medieval castle of Hardegg, we will be able to see places, where the Dyje River finds its way through the countryside and creates unforgettable meanders. 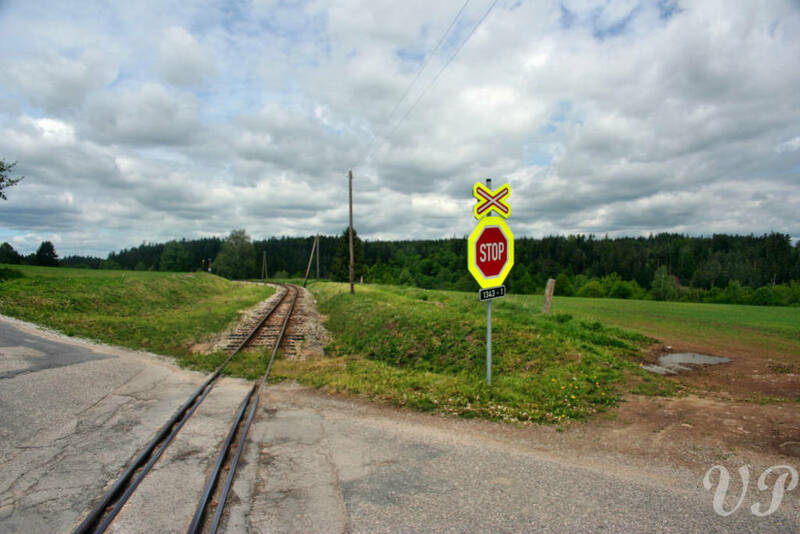 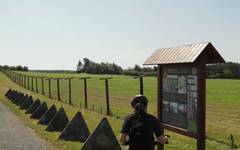 Memorial of the Iron Curtain, located in this area, is a quiet eyewitness of relatively recent times. 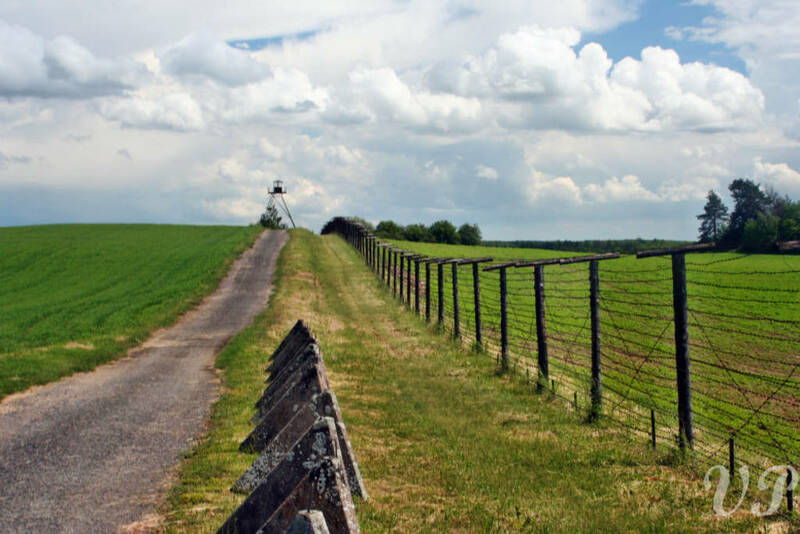 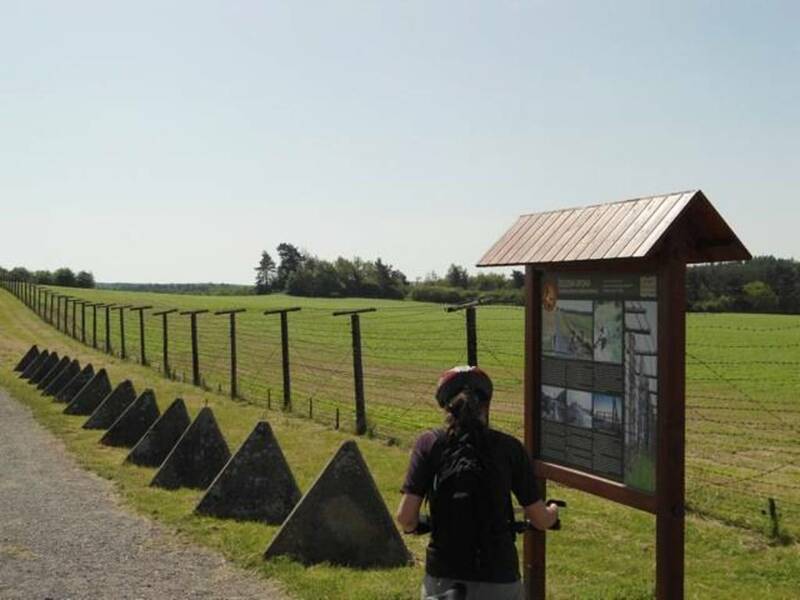 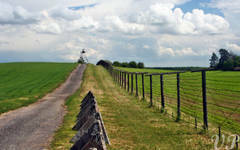 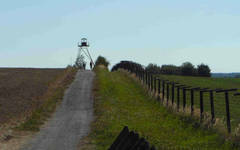 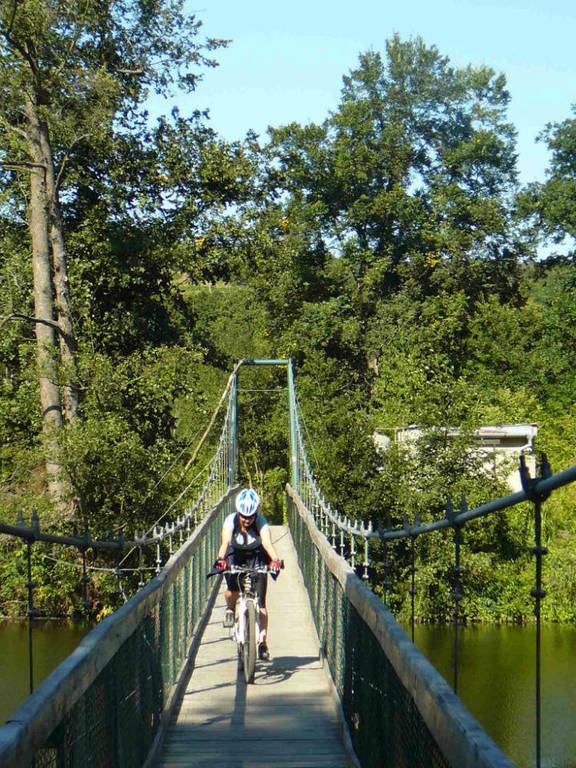 Bike trail will lead us along the borders of the national park, where no traffic is allowed. 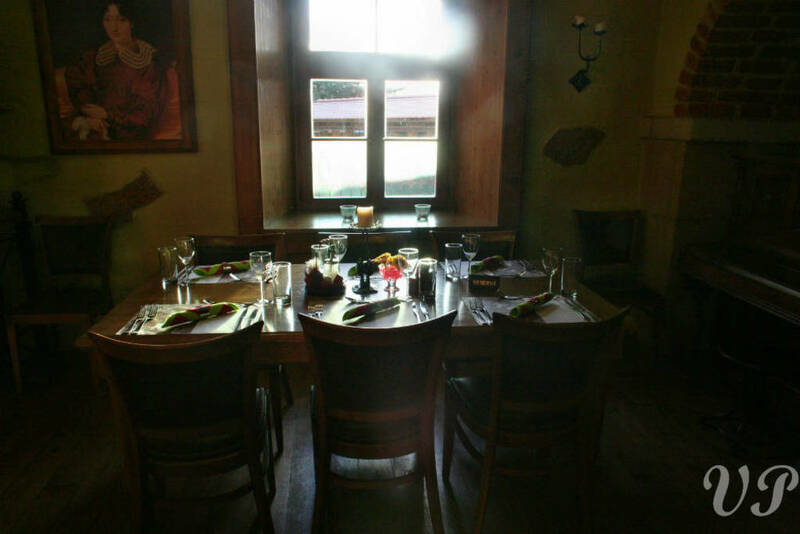 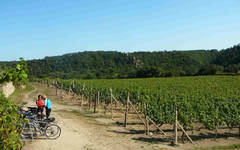 While descending to the Dyje river through Šobes vineyard, why do not have a glass of white wine? 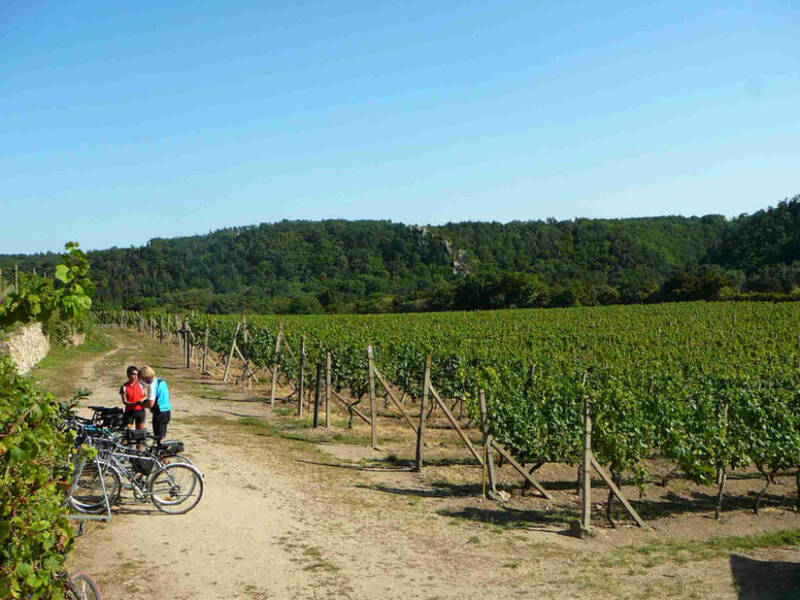 This place was awarded as one of the 10 best vineyards in the world! 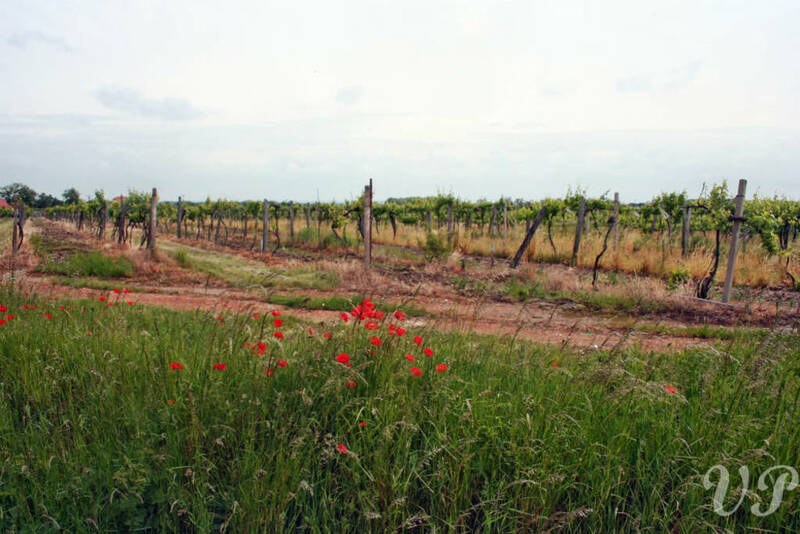 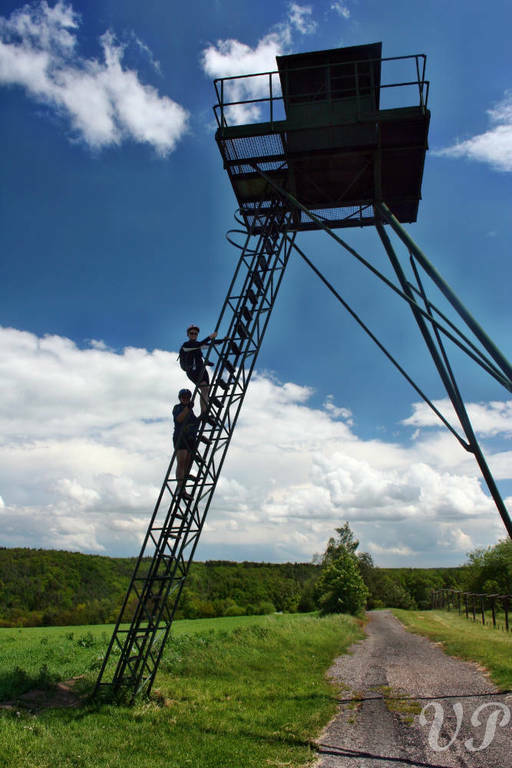 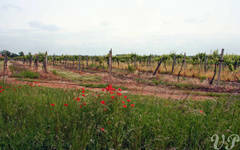 Our next stop will be the town of Satov, where we will have the possibility to visit uniquely preserved world war II fortification, painted wine cellar, cozy wine cellar streets and an educational path leading through vineyards of old wine varieties. 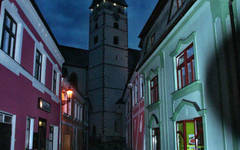 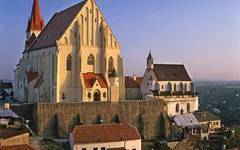 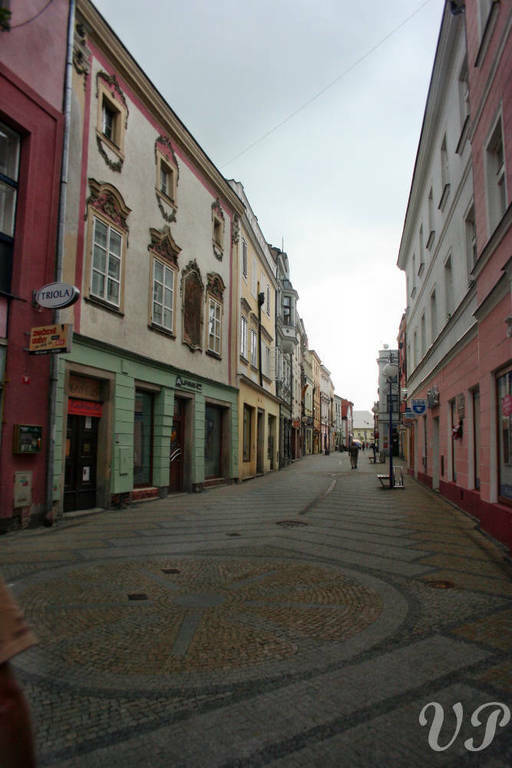 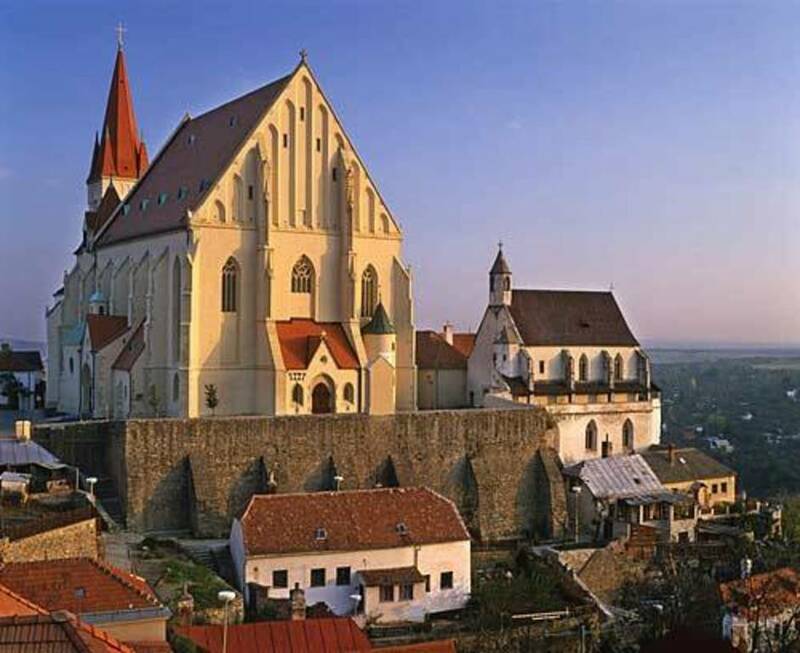 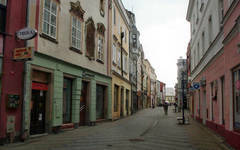 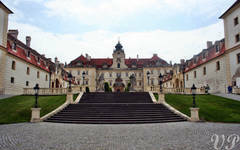 We will conclude the day in the seat town of the Moravian Premyslid Dynasty – in the town of Znojmo. 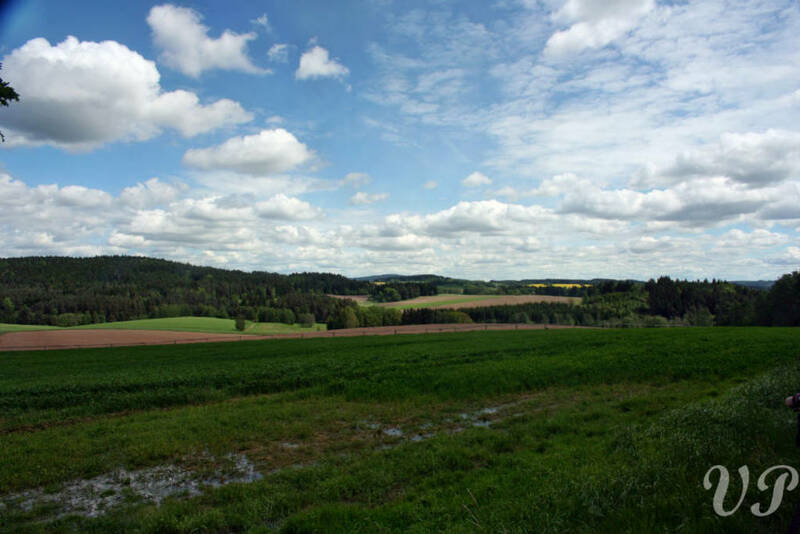 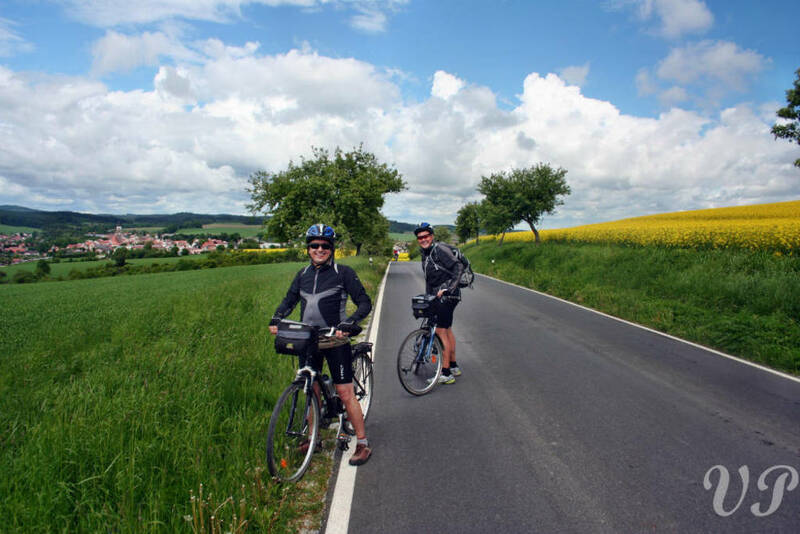 Description of the day: Description of the day: In the morning we will leave the town along the river and then continue through fields and vineyards to the Austrian border. 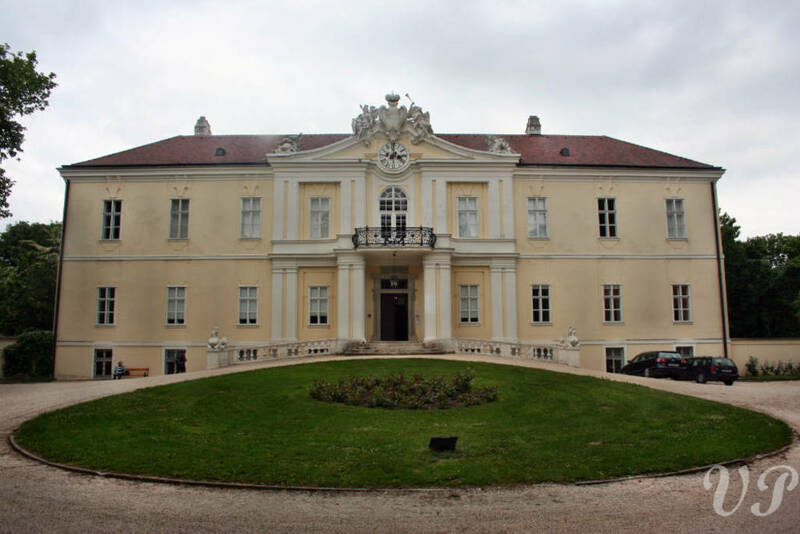 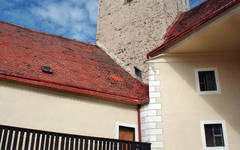 The border line will then take us east with a nice stop in the town of Jaroslavice with nice Renesance chateau. 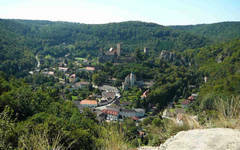 Here you first cross the border to Austria and visit the picturesque wine growing area of Galgenberg. 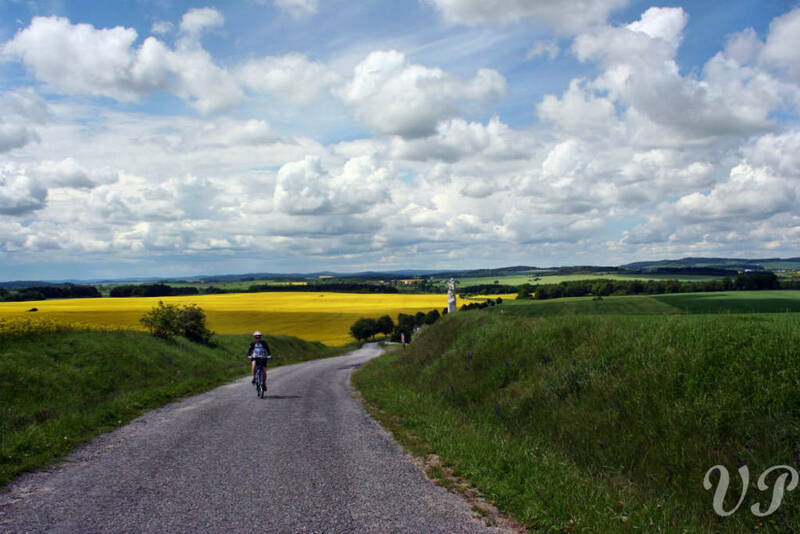 From here we follow a nice new bike trail meandering through the peaceful countryside to Mikulov. 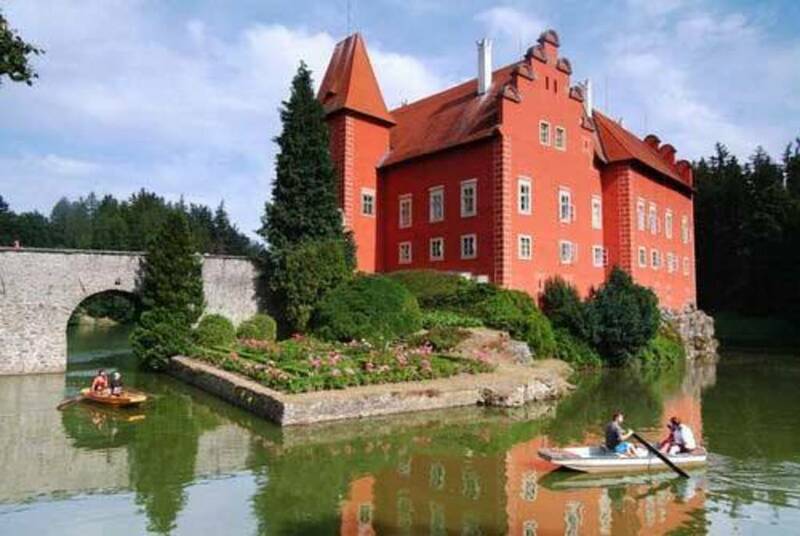 This hidden gem will capture your attention with its Baroque Castle and wine museum, an historic synagogue and a local curiosity – a gigantic wine cask big enough for a chamber orchestra. 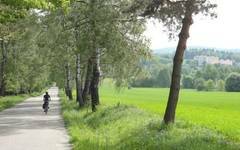 TIP: Culture and wine lovers can take a morning transfer to Břeclav and spend whole day biking in unique Lednice - Valtice UNESCO area! 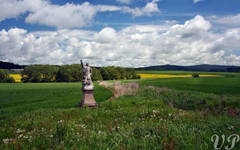 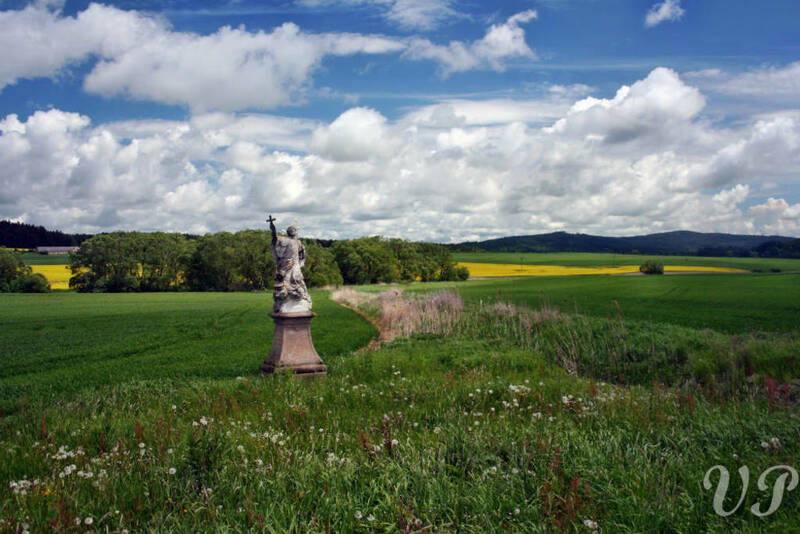 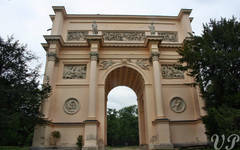 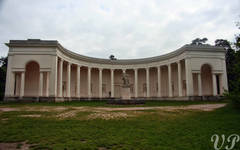 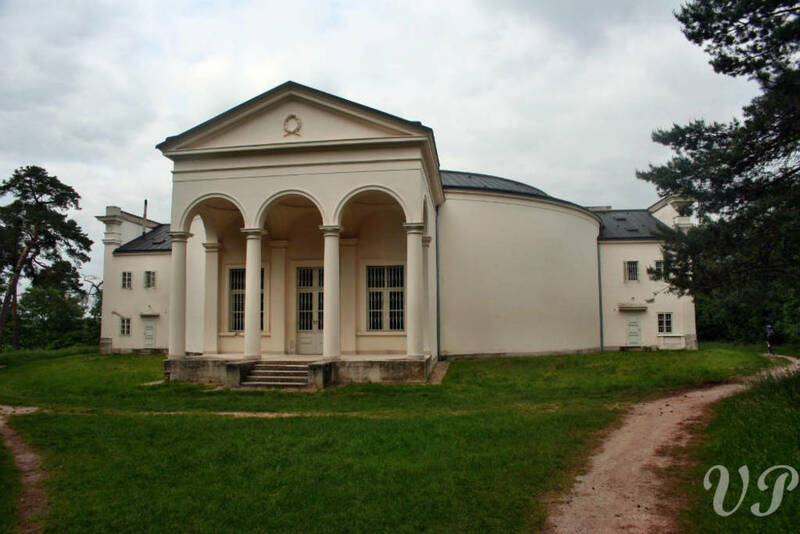 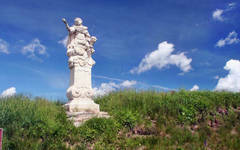 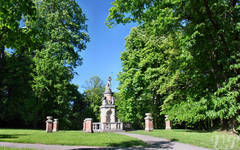 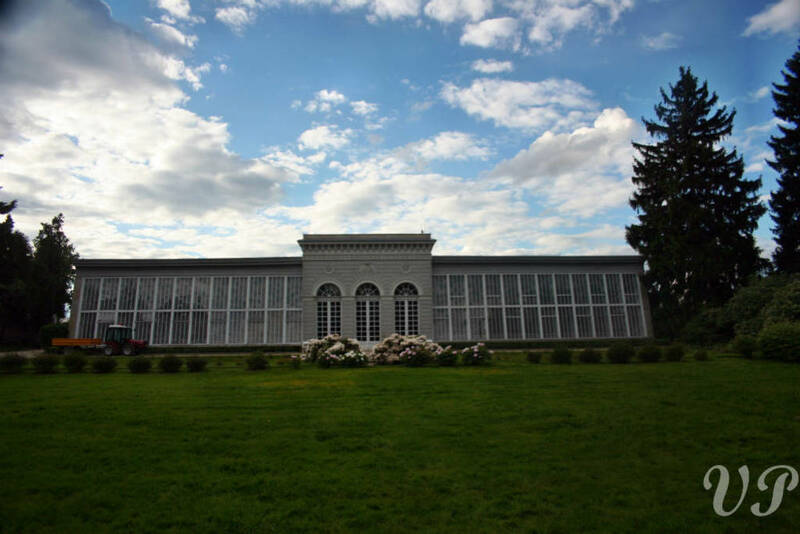 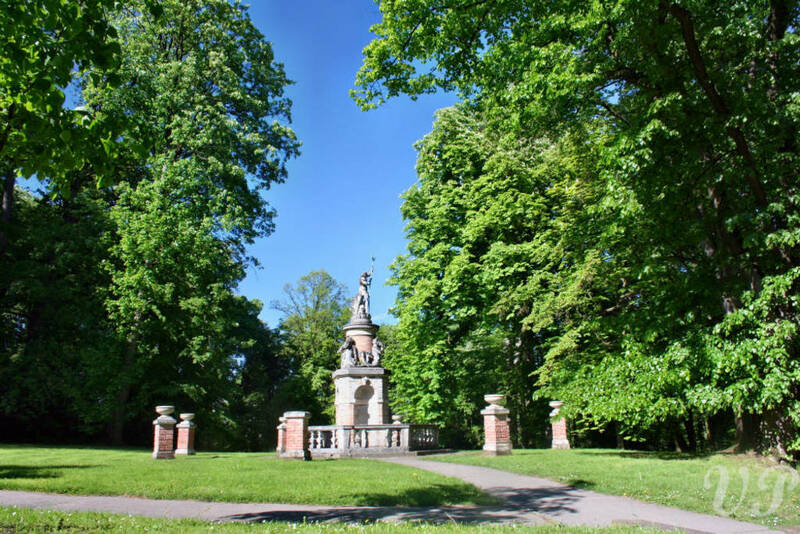 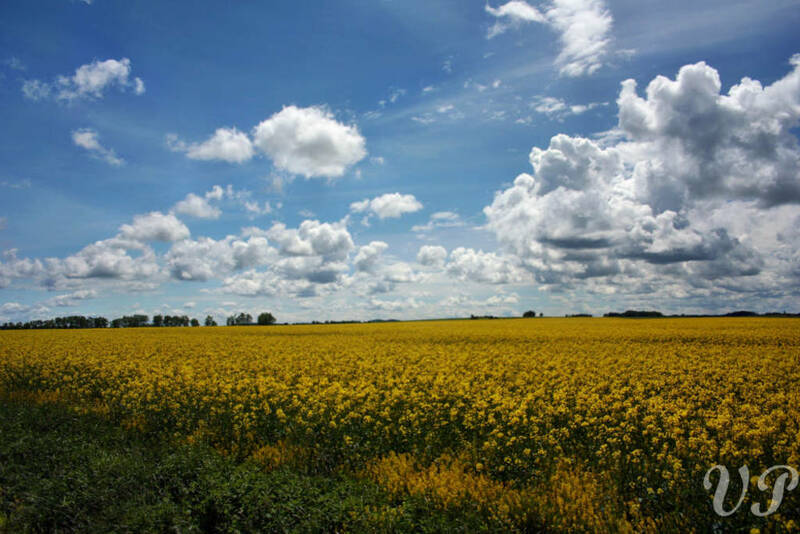 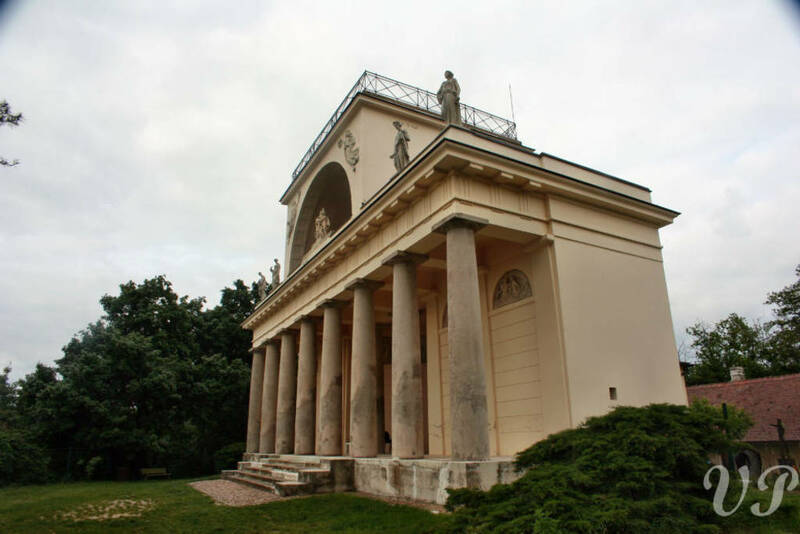 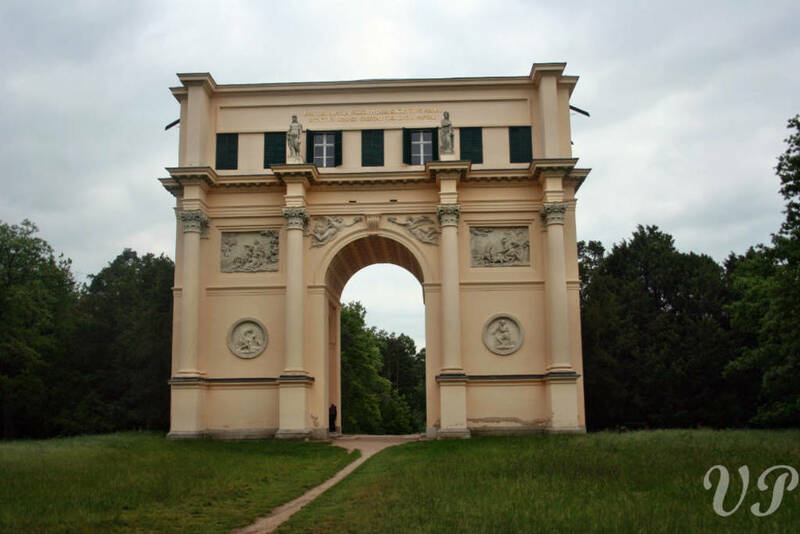 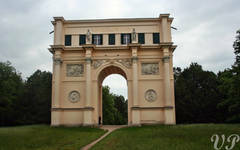 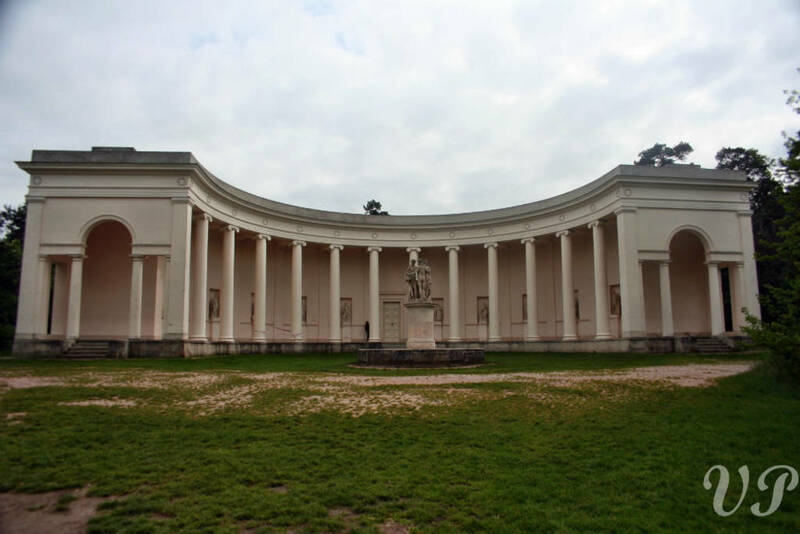 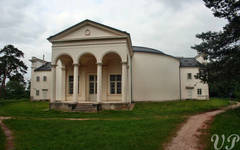 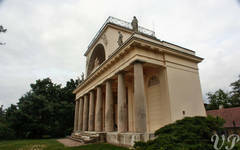 The Lednice-Valtice Cultural Landscape – a landscape which used to belong to the family of Lichtenstein. 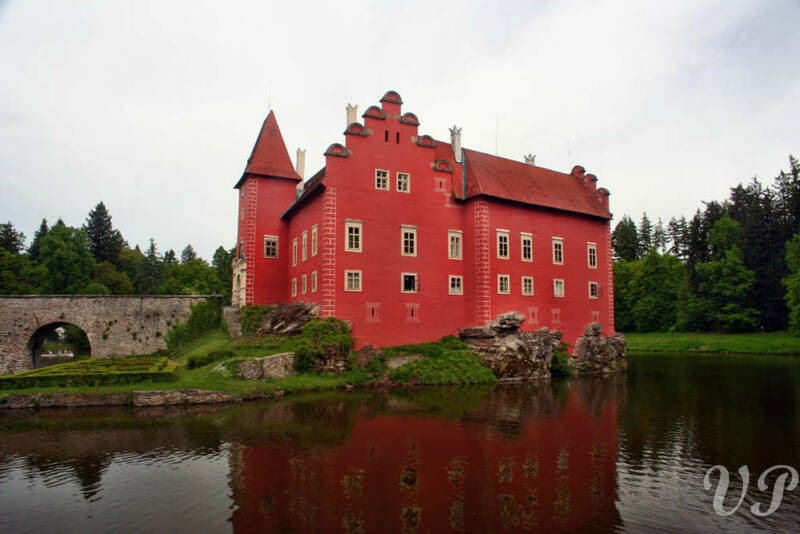 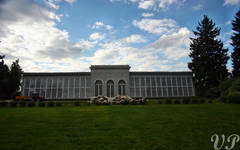 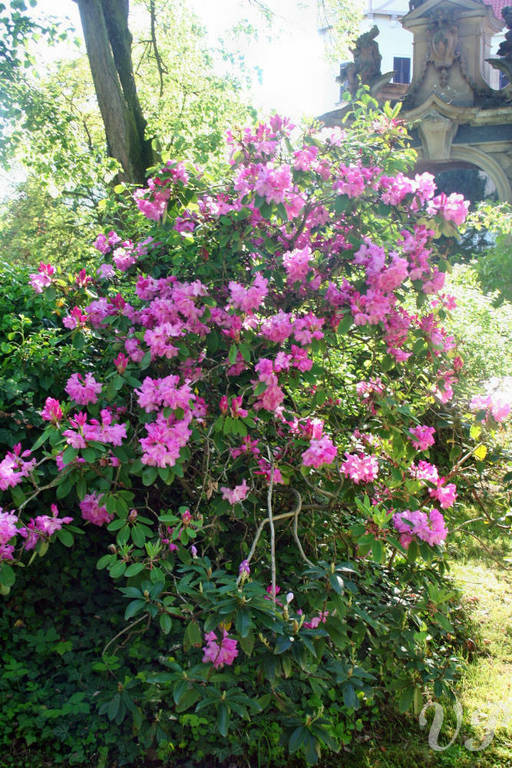 Under the care of this single family, the swampy area was transformed into a well-thoughtout combination of castles and parks, sometimes called “The Garden of Europe” or “The Garden Paradise”. 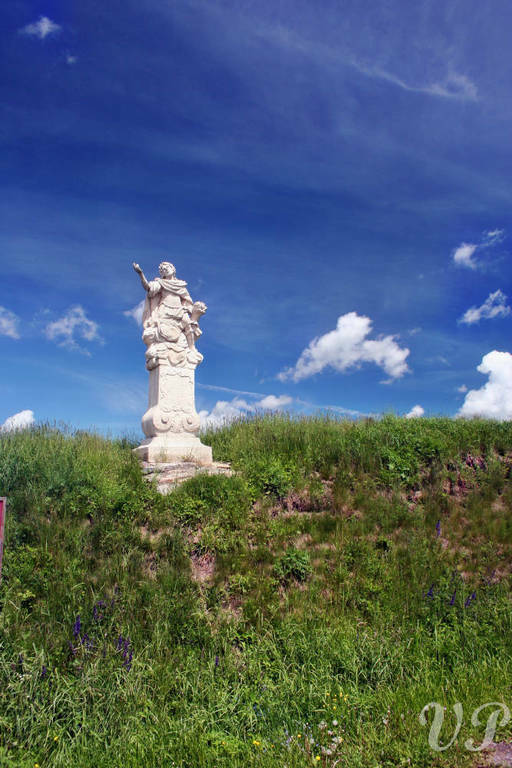 We will have a chance to visit this place, which combines both indigenous and exotic natural elements to create an outstanding work of human creativity. Since the complex is very large, biking is the recommended mode of transportation allowing you to fully experience this exceptional cultural site along at a leisurely pace. 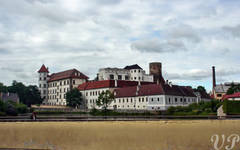 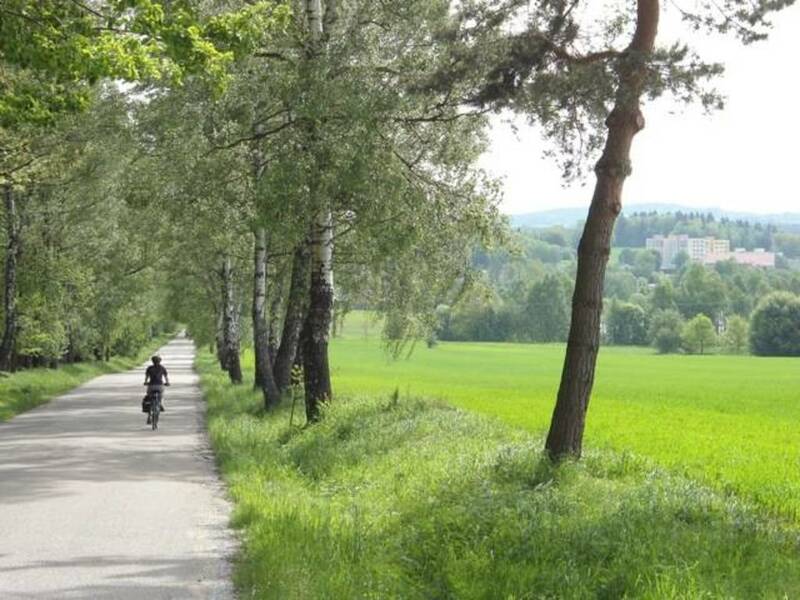 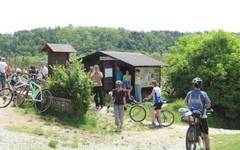 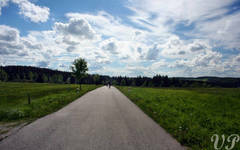 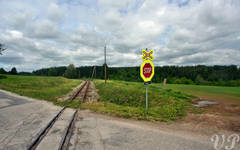 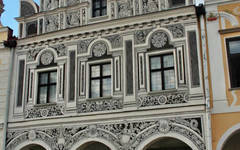 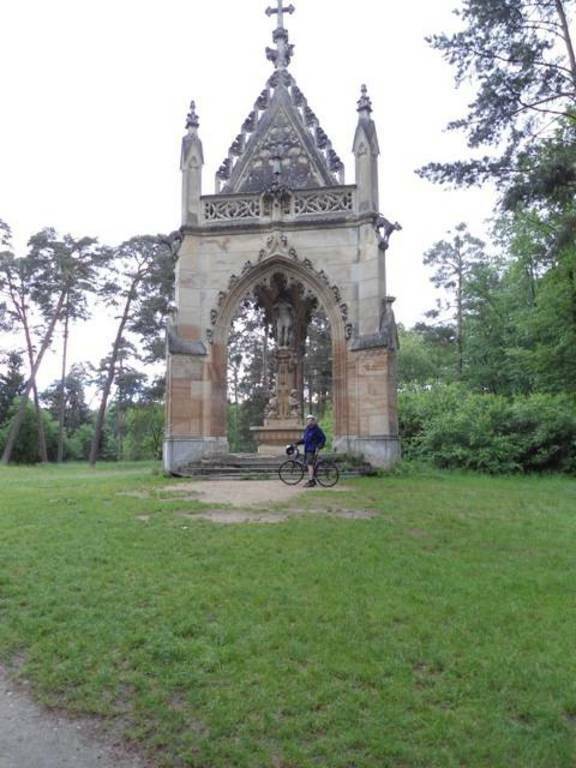 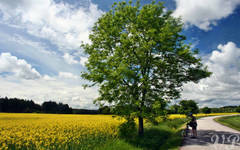 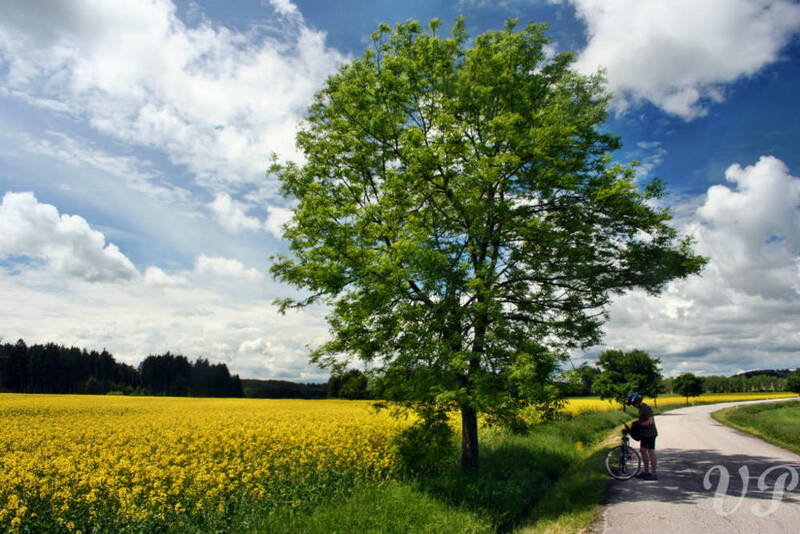 Description of the day: Last day of the bike tour from Prague to Vienna will follow Lichtenstein heritage bike trail. 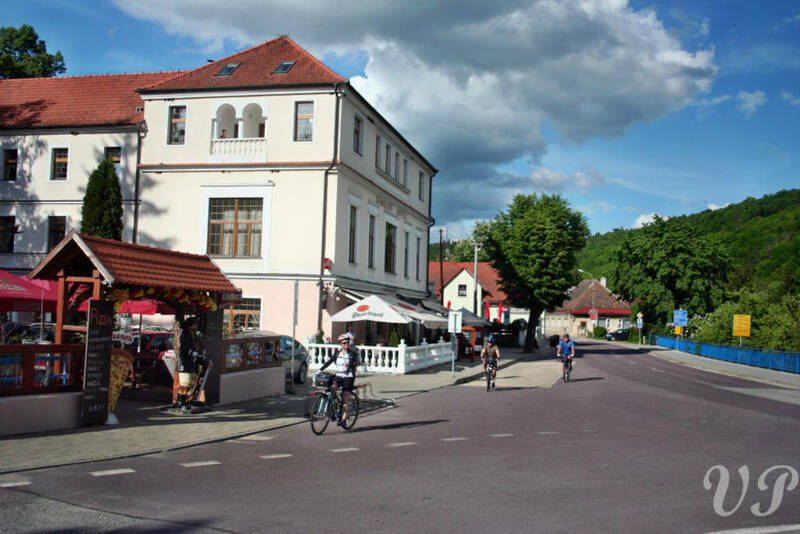 On the way we will bike through the Herrnbaumgarten Village, which is famous for its poetic museum of non-senses, all the way to wine museum in Poysdorf, where you will have a chance to learn everything you did not know about wine so far! 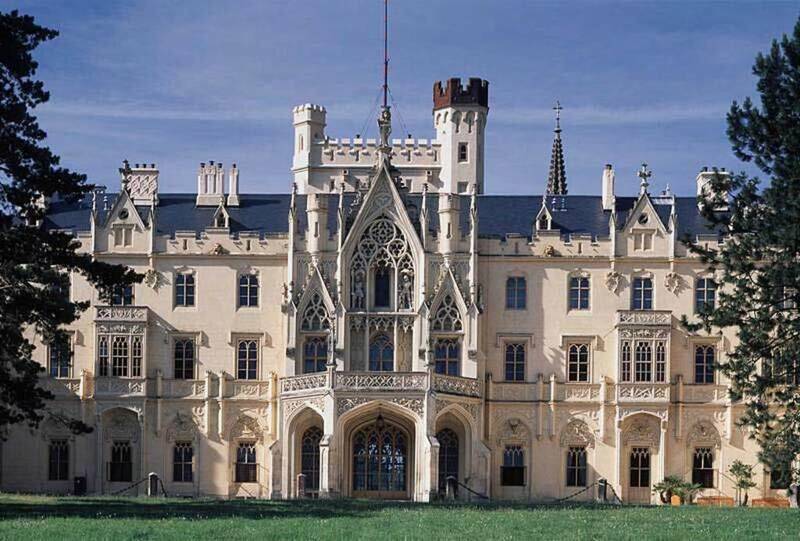 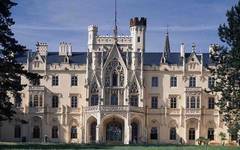 Then we will pass through Wilfersdorf with its chateaux, which had been the main residence of the Prince between 17th and 18th century. 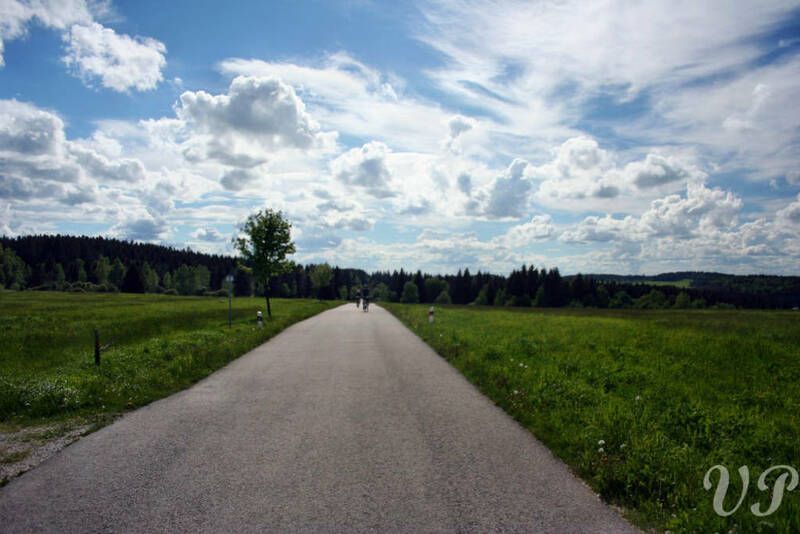 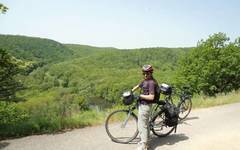 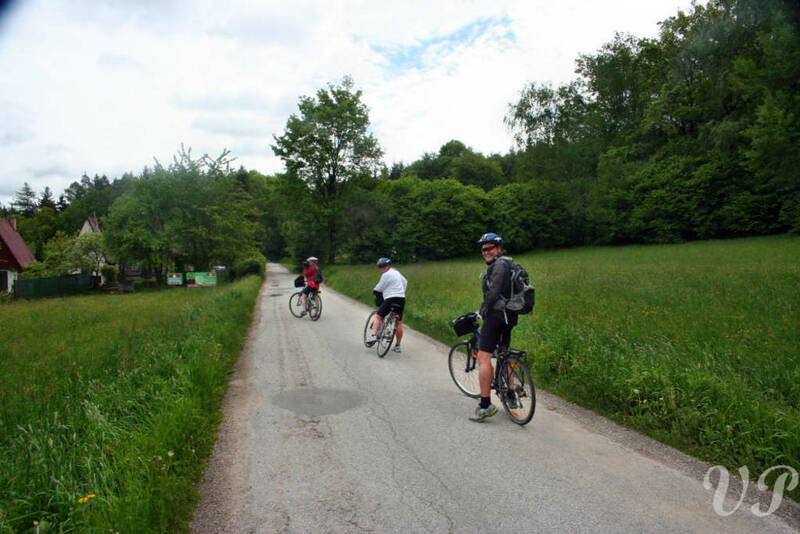 We recommend you to end this bike tour from Prague to Vienna by a day trip in Mistelsbach, where from you can take a train or support vehicle to Vienna. 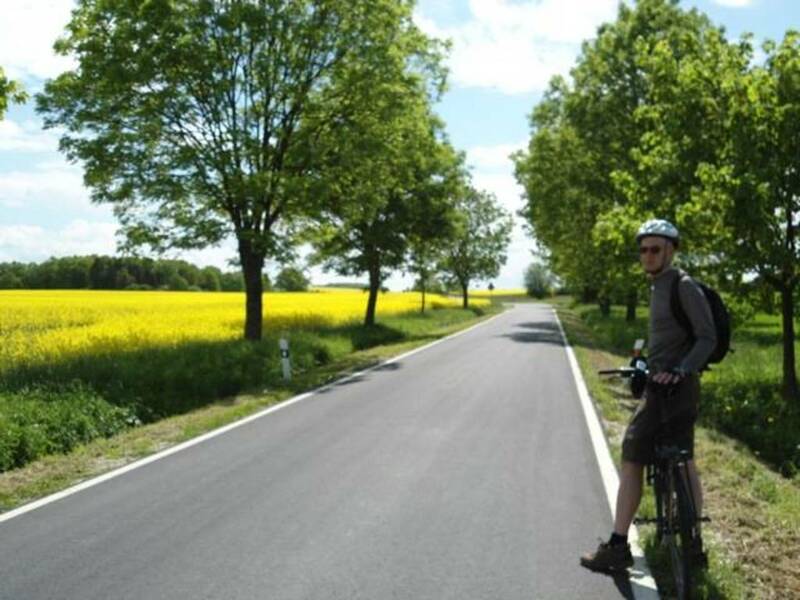 The real bike fans can reach the city by bike following the Eurovelo route no. 9 (95 km!). 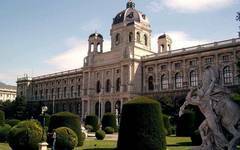 Day 8 – Vienna - not included in price!